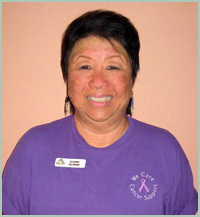 Karen Morris worked at a Laughlin, Nevada casino for ten years before founding the We Care Cancer Support Center in 2002. 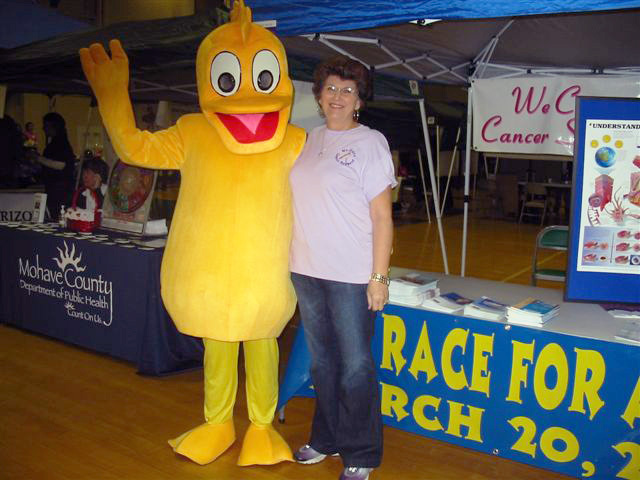 As a breast cancer survivor, Karen knew how important it was for people who face the long battle with cancer to have a safe, secure place to educate themselves about the disease. 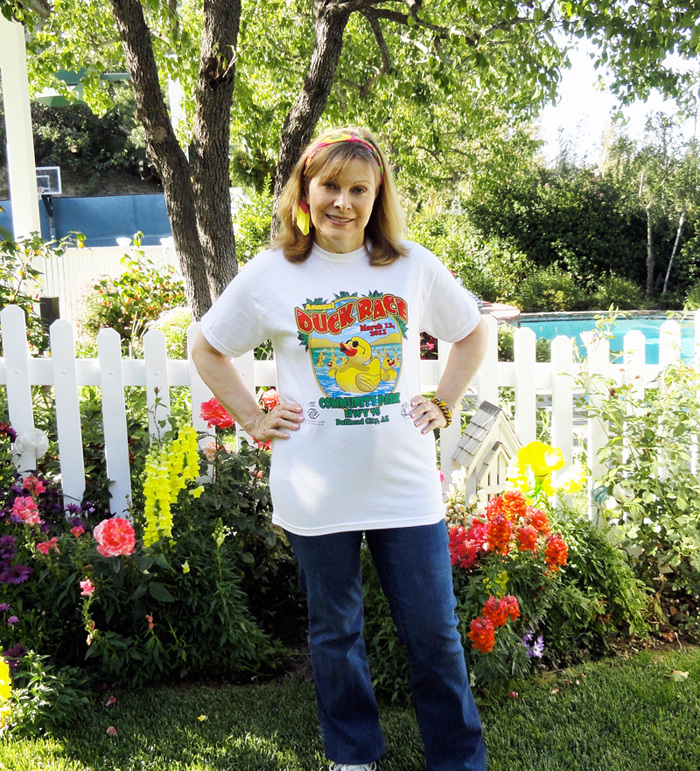 "When I awoke from my mastectomy,” Karen wrote in her application, “I thought I was paralyzed as I didn't know of anyone who had the same surgery, or a hometown group to talk with." 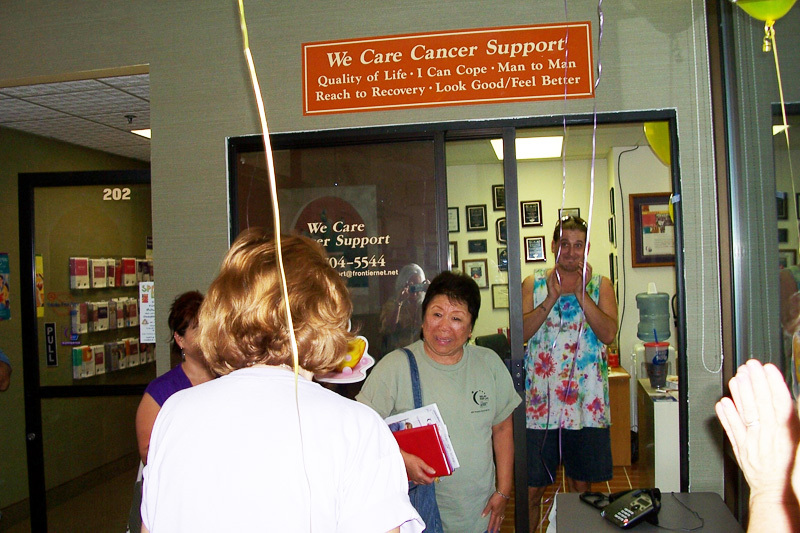 The We Care Cancer Support Center offers services and related items to cancer patients and their families all at no cost. 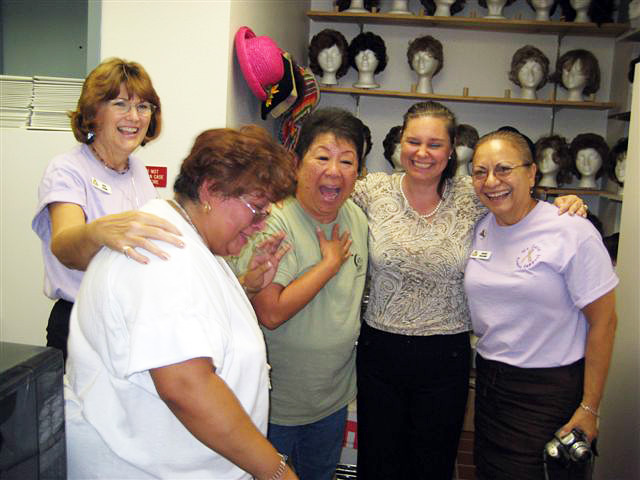 Items include newly styled wigs, hats & head coverings; support meetings; resource referrals; gasoline assistance; information brochures; and more. 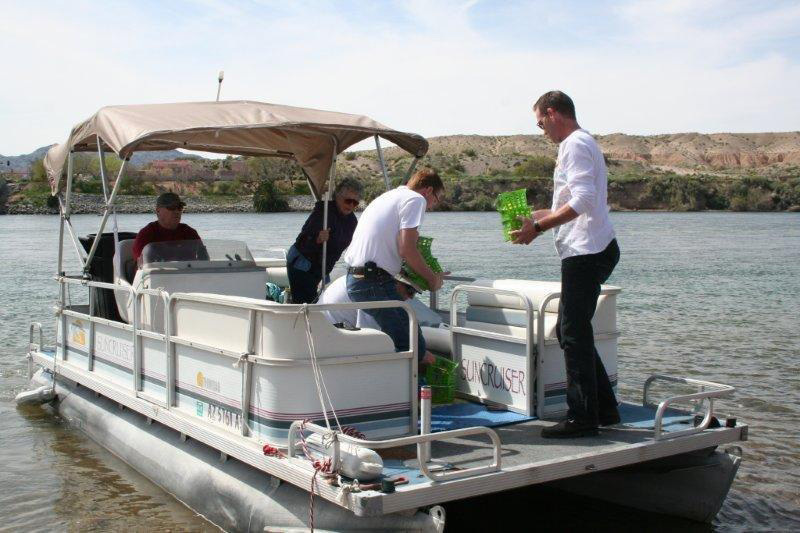 The center not only serves the 42,000 people of Bullhead City but also serves 100,000 residents of the surrounding tri-state area. 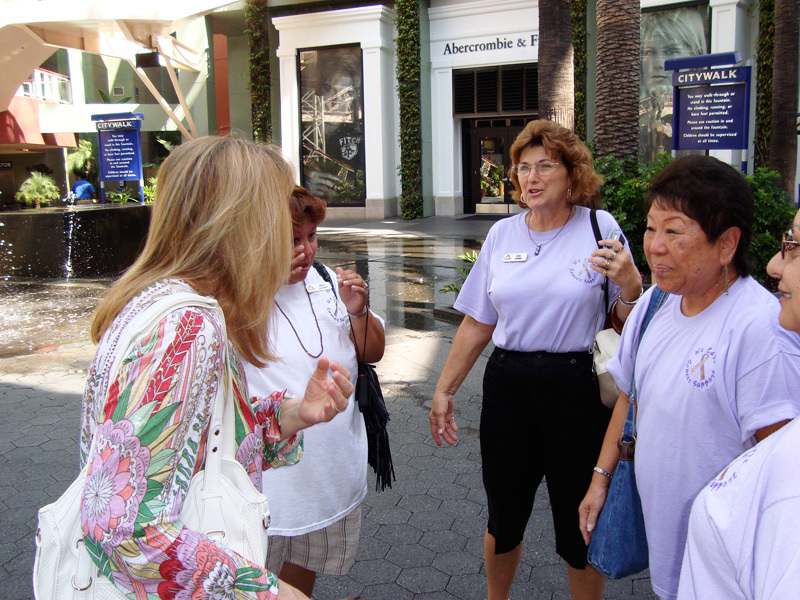 Karen's support center is staffed only by volunteers and operates solely from fundraisers and donations. 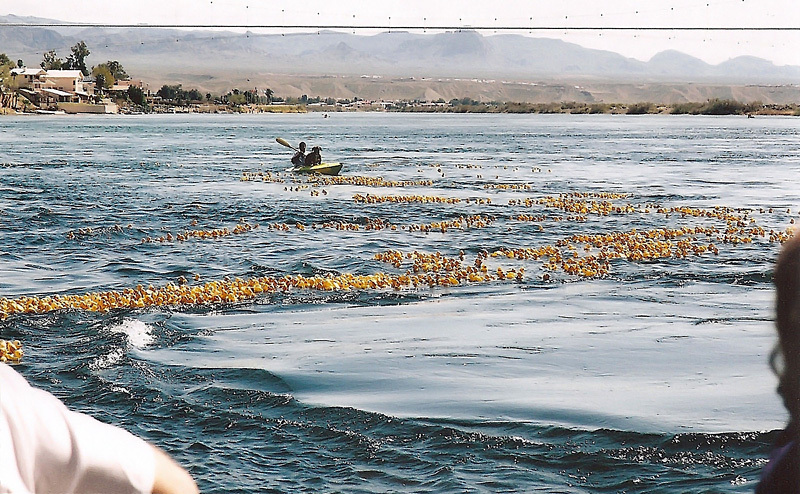 Karen requested $12,000 to buy 7,000 rubber ducks for their annual Duck Race where locals sponsor the ducks with donations and then send them down the Colorado River. It’s their biggest fundraiser of the year. 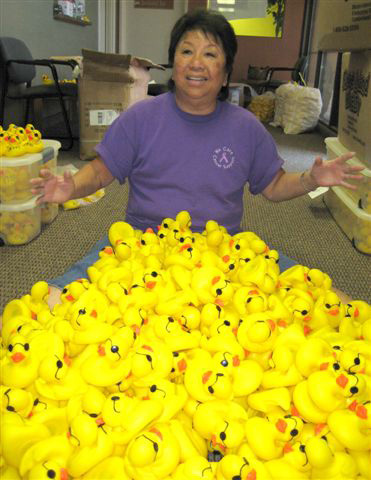 "We currently have to borrow 4,000 rubber ducks for our annual duck race which limits our fundraising,” said Karen. 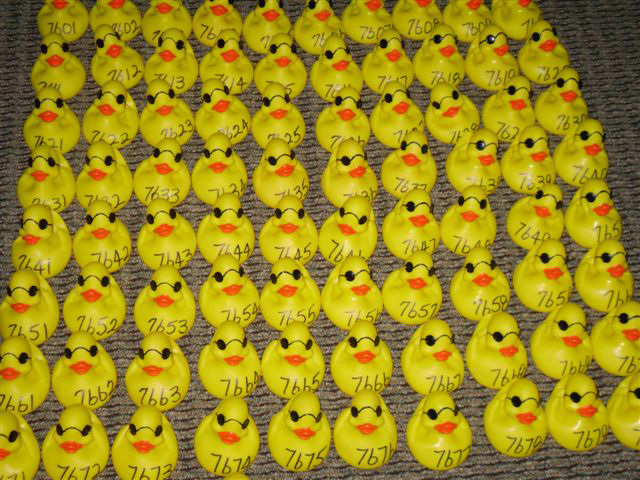 “Owning our own ducks will enable the center to raise more money so we can continue with our services as no one should have to face cancer alone." 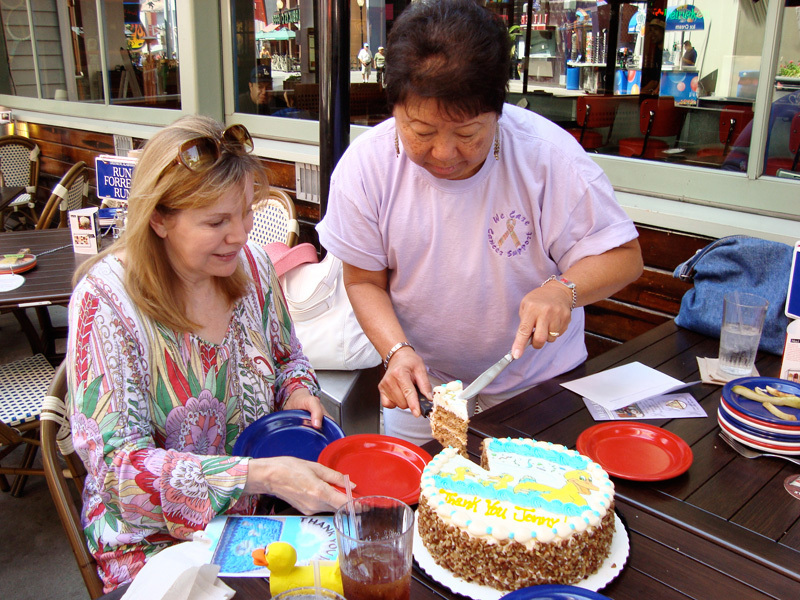 Karen is married to her longtime husband, Dana, and they have a dog and cat. "It’s been awhile and hope all is well. 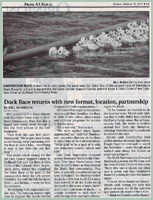 Attached are newspaper articles just before and after this year's Duck Race. 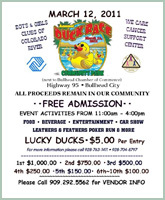 We partnered with the Boys & Girls Club as this event is growing at a rapid pace. In addition to our very popular Leathers & Feathers Poker Run we had a Car Show that proved to be very popular. 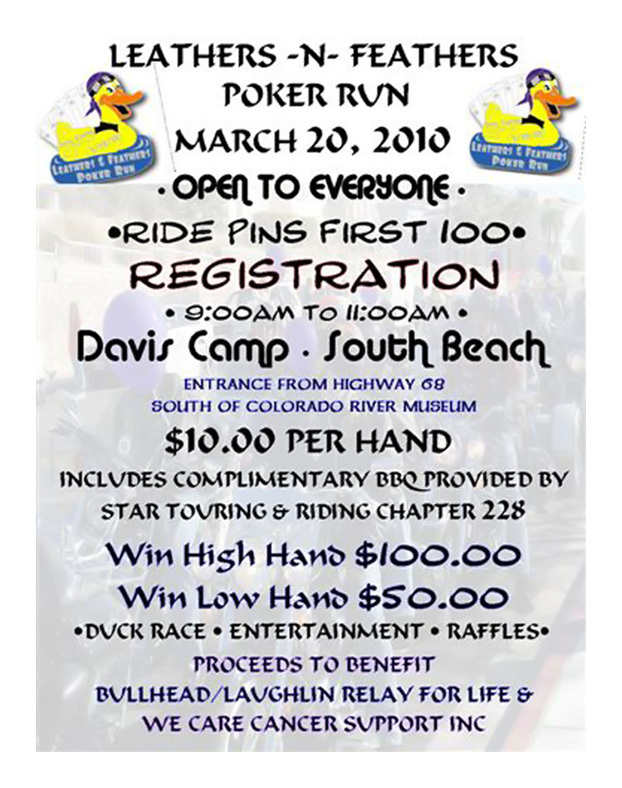 We’re bringing both back next year along with a Bike Show after the Poker Run. 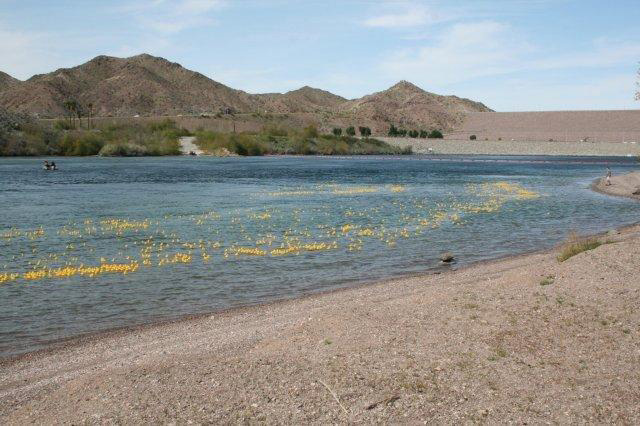 Our Duck Race was so nice at our new location and since the Community Park is on Highway 95 the highway exposure was great for us. 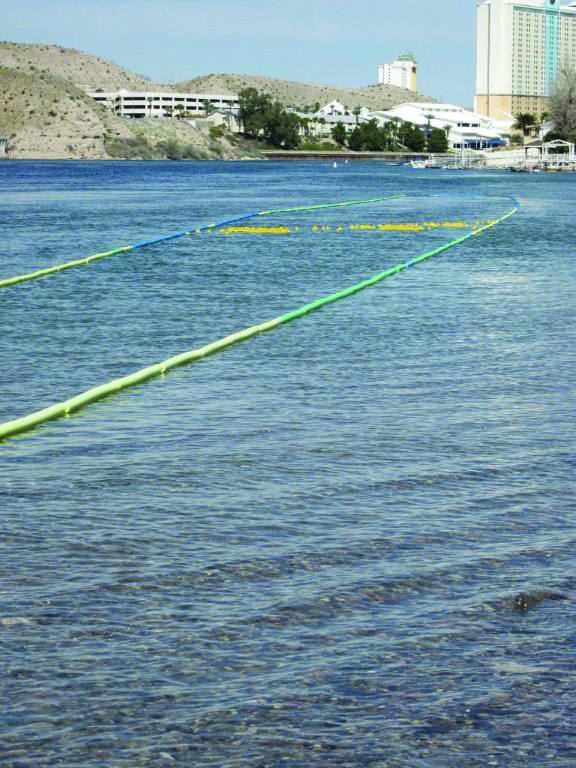 Also attached are pictures of the race, showing our new racing lane. BTW, Do you know how hard it is to find 200 Swim Noodles in Nov & Dec? 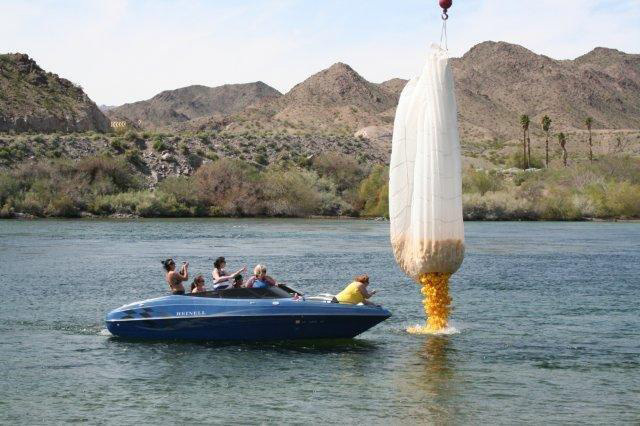 Everyone thought I was joking and we had a very hard time finding them (a month before the race we finally had all that we needed - We had to purchase them in whatever increments we could get). Anyway, the race lane was a little longer than a football field and next year it will be extended by another 50 feet. 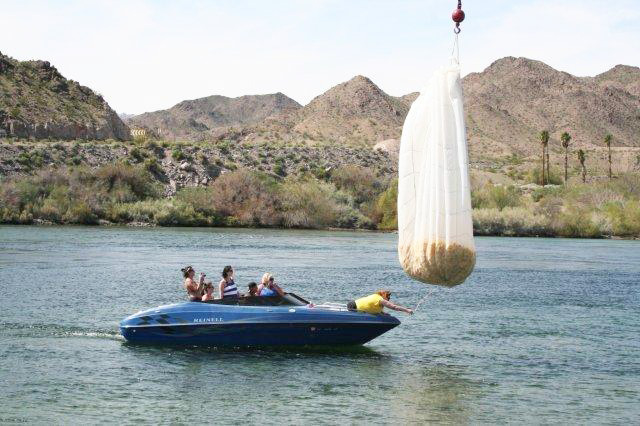 My friend and CoChair strung all of the noodles with nylon rope. 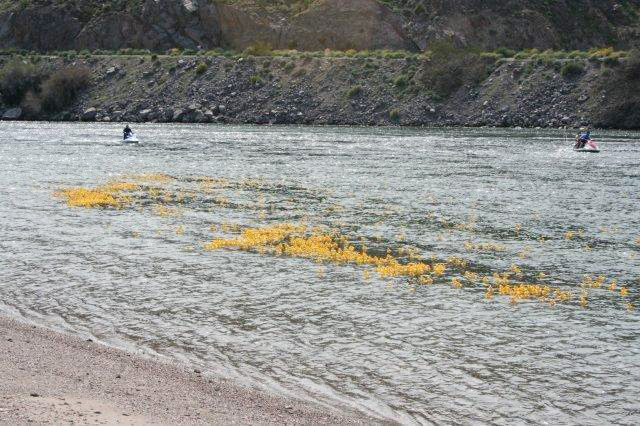 The ends were attached to cement buckets he made that were placed in the River that morning then he and one of our volunteers were in the water in wet suits pouring the Ducks into the race lane. Thanks again for making this possible. 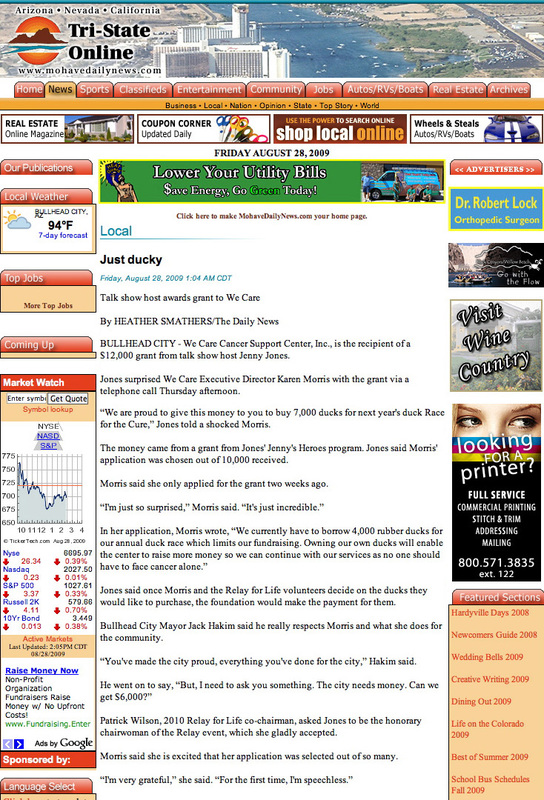 Karen"
"Thought I would drop you a line to let you know that We Care Cancer Support will be opening a Thrift & Gift store on Highway 95 across the highway and a few doors south of Goodwill. 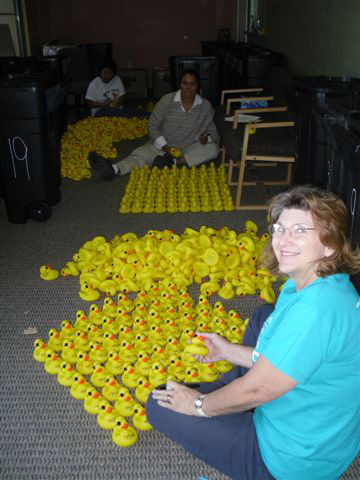 Thanks to your grant to purchase Ducks for our Duck Race we are able to open this store that will help maintain our office so we can continue with our cancer programs. 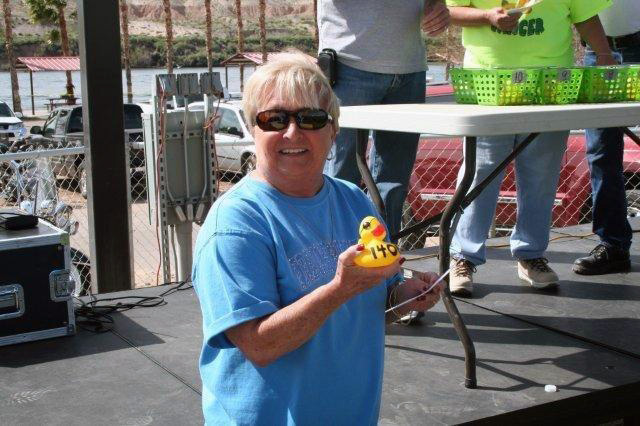 In addition to our successful Duck Race, We Care Support hosts the American Cancer Society Bullhead/Laughlin Relay For Life every year the first Friday/Saturday in May. 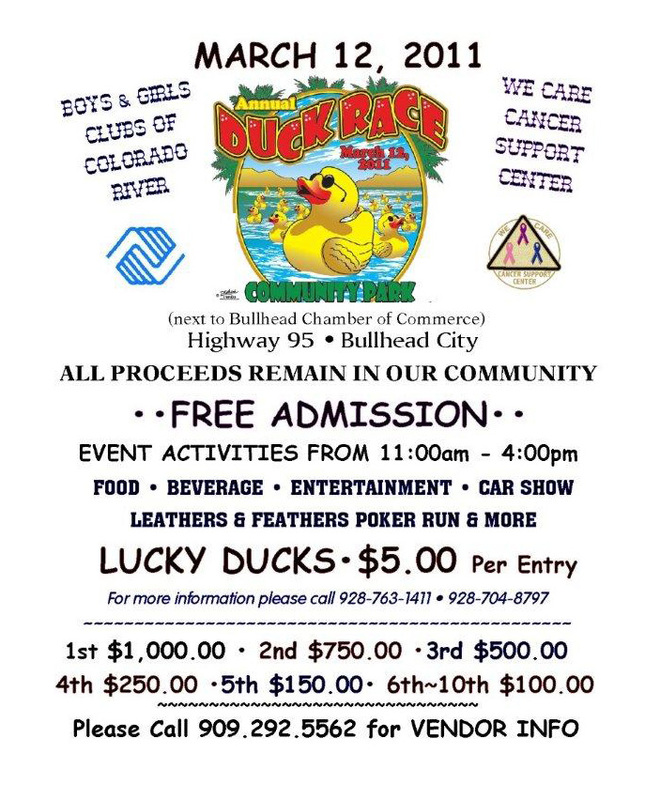 This is a fun filled over night community event where we CELEBRATE all cancer survivors and REMEMBER those who lost the battle and FIGHT BACK against this insidious disease that takes away so much. 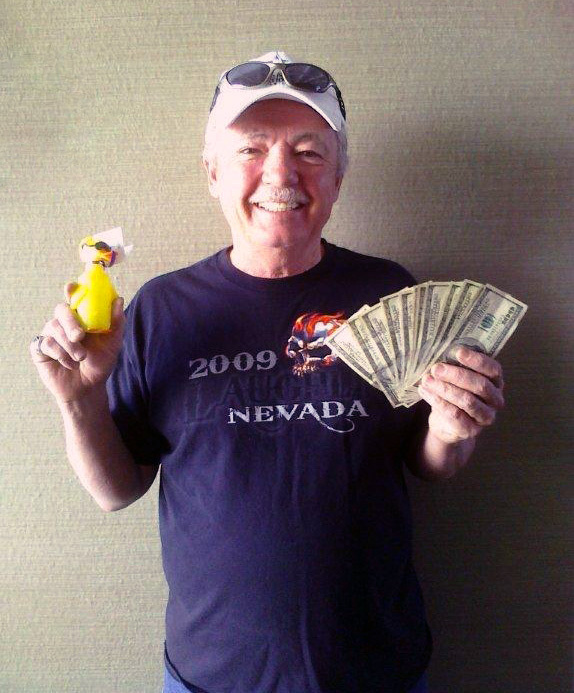 Our monies are still coming in from our May 7/8 Relay which brings our total close to $103,000.00. 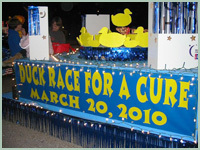 As soon as we get everything in place at the store we’ll take photos to send to you along with Relay photos. 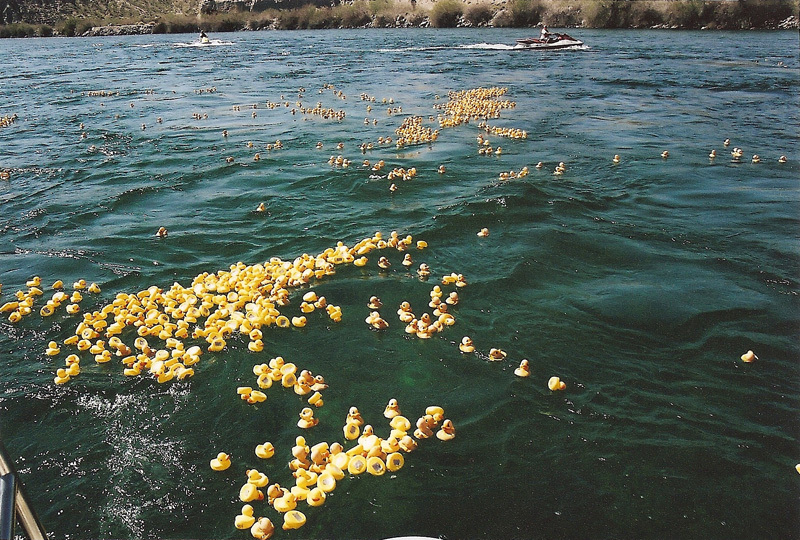 Regards, Karen"
"Our Duck Race went well. The event was very successful and we have had good positive feedback. 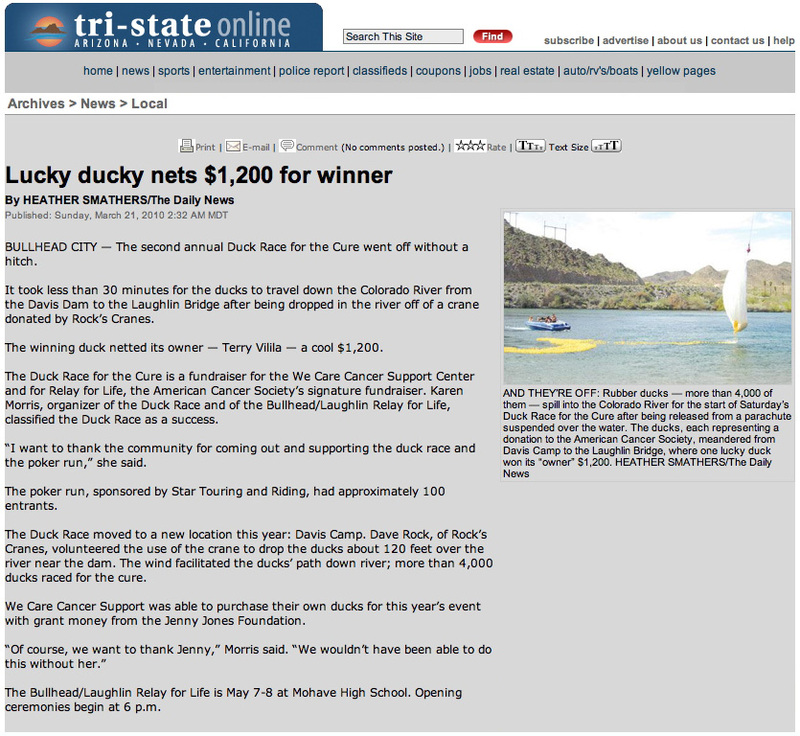 Our second year race netted over $16,000.00. 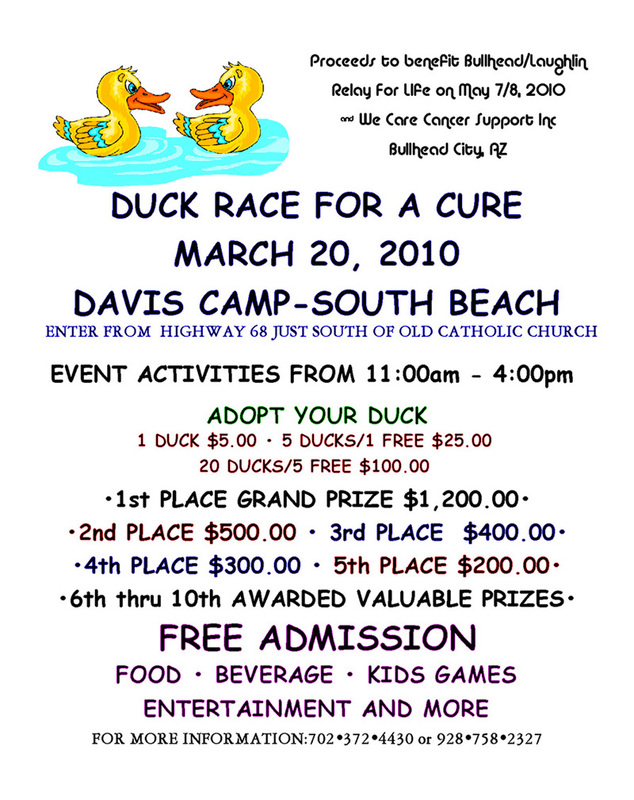 With our new plans for 2011 we are very optimistic that we will have a banner year and sell all of our Ducks. 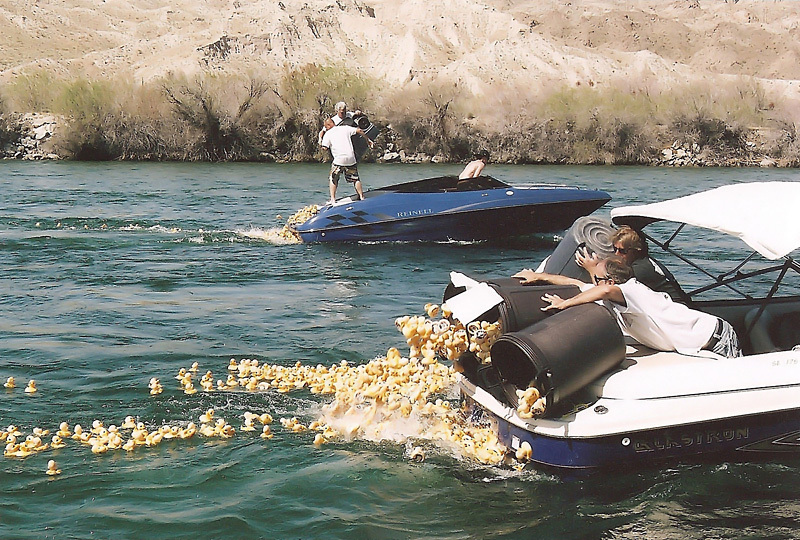 I am sending photos of the Duck Drop. 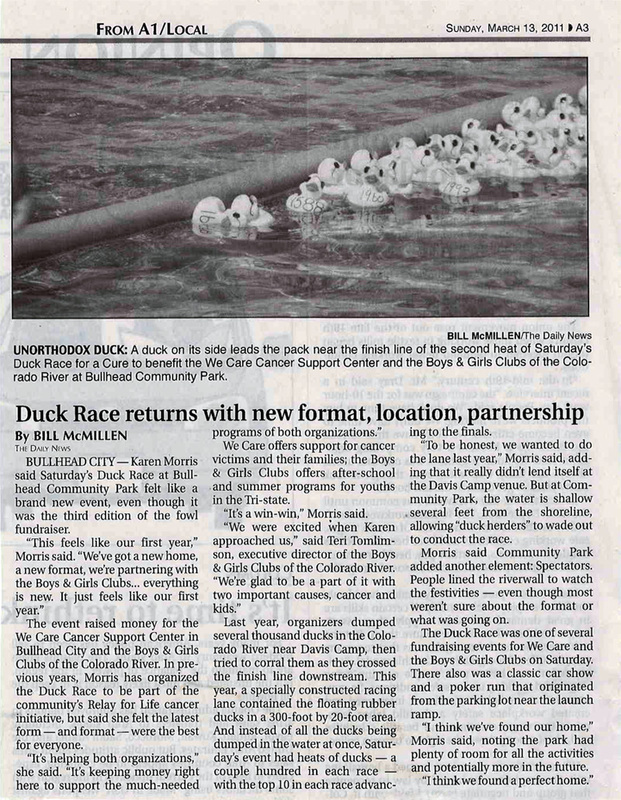 Thanks again for making this happen... Karen"
"Well things are moving right along with the Duck Race. 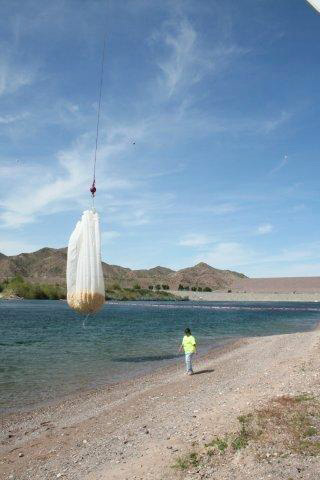 We did a dry run with the parachute and crane the other day which worked great. 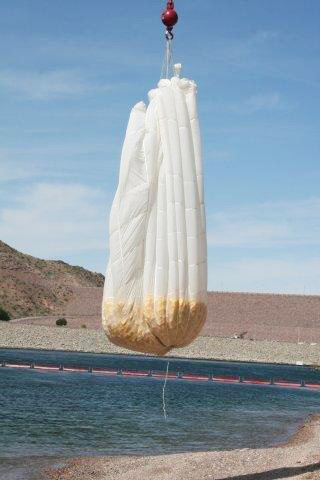 We dropped 400 ducks as a test from the parachute to be sure the rip cord was going to open and it worked very well with 400 ducks all over a parking lot. 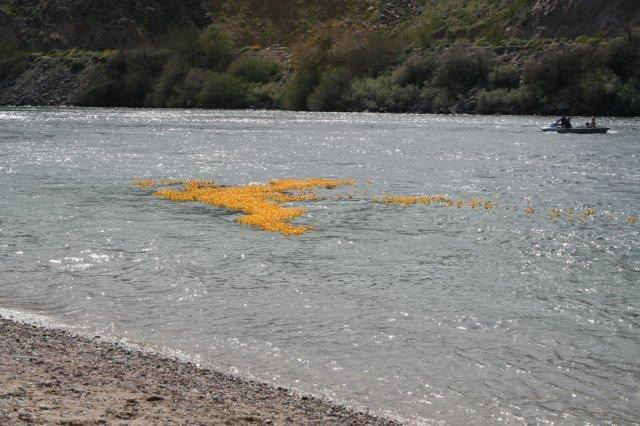 Last weekend a couple of our "Duck Runners" tested the ducks in the river for several hours. I’m just praying for the weather to cooperate and be nice & warm without wind. 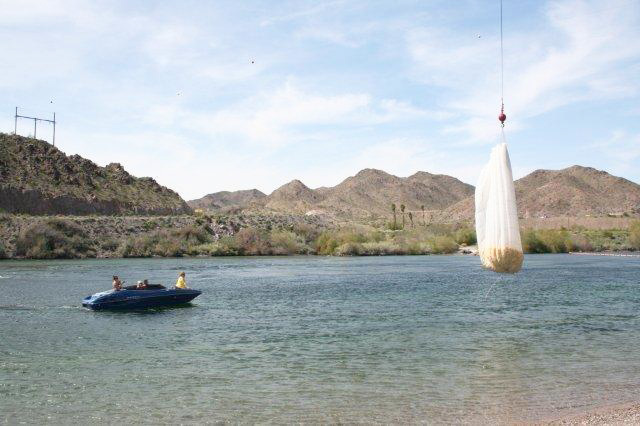 The festivities start at 11:00 am on Saturday with the Duck Drop at 2:00 pm. 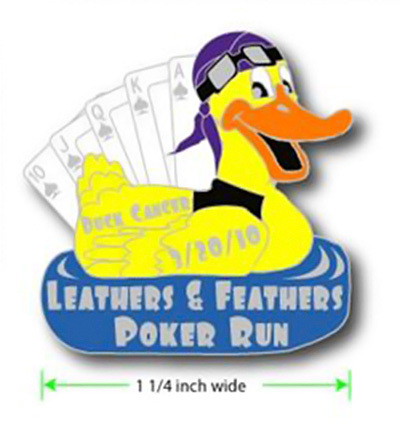 This is our first year at this site so I’m a little nervous about our attendance but we will have our Duck mascot at the entrance starting at 8:30 am for the Poker Run." 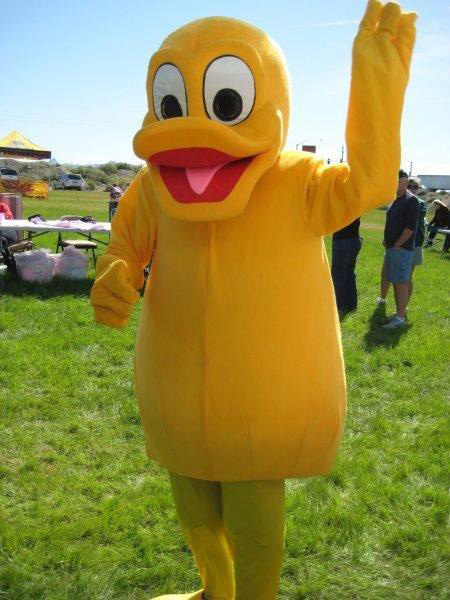 We wish Karen and the rest of her volunteers the best of luck with their fundraiser and look forward to receiving lots of great pictures of the event. 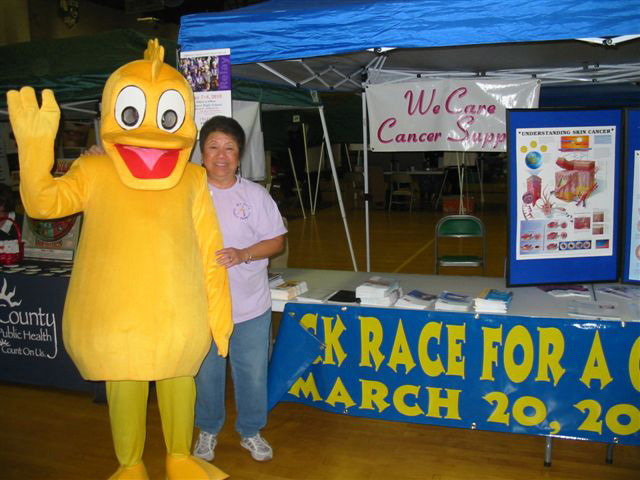 "We were doing a promotion for the Duck Race at our favorite Deli when the Police tried to arrest our Mascot but he was sooooo big they couldn’t get him the car... we had sooooo much fun with this as Lorrie Duggins BHCPD Community Services Officer supports our We Care projects and she arranged for our Duck to be arrested." 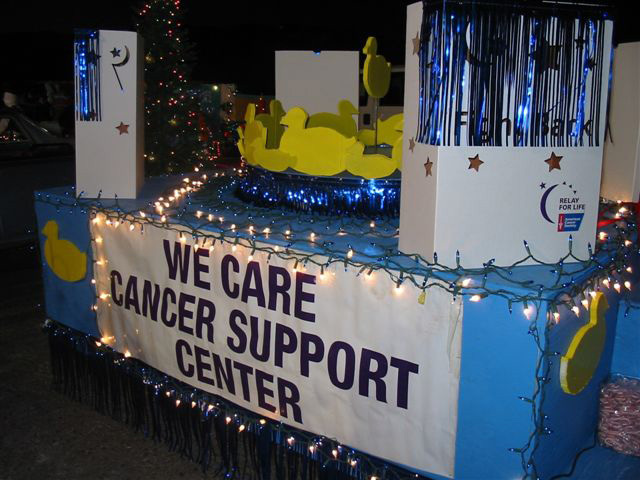 Karen sent us an email and pictures from a Holiday Parade in which the We Care Cancer Support Center participated. 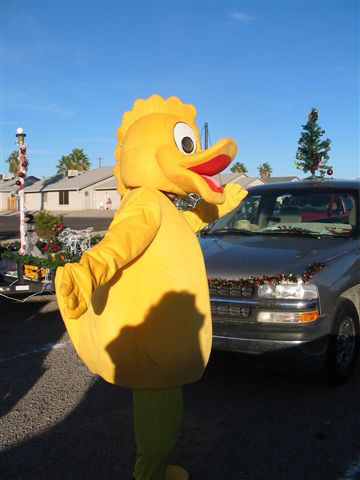 "...Our city has a Holiday Parade the first Friday in Dec. every year and of course We Care is always in the Parade. 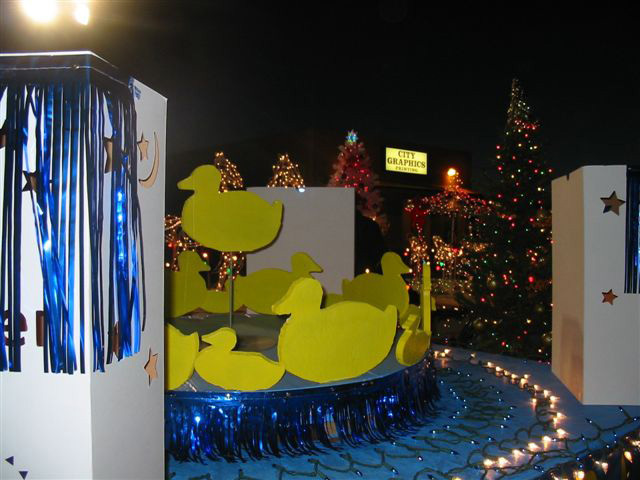 In the past we used to decorate a patio boat with a gazillion lights however this year as you can see (in the attached pictures) everything is themed around our Ducks. 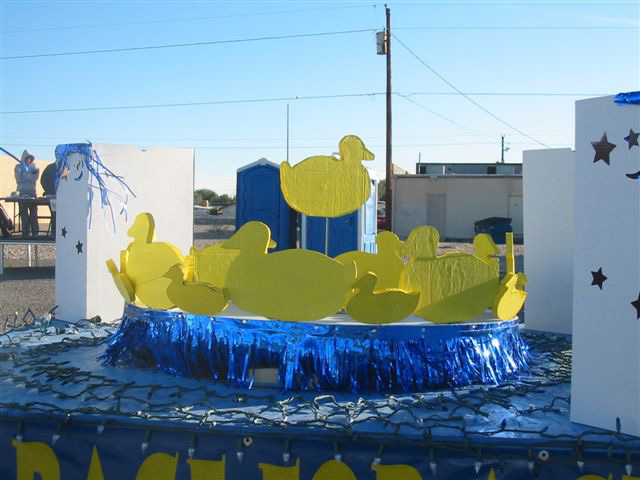 The float was made by Gail's husband with "floating" ducks. 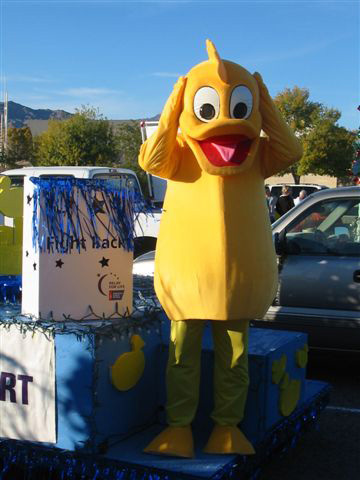 Our Mascot and I walked the parade behind our float and he was so popular we were asked to keep moving as so many people wanted photos with him... We want to turn the community Purple and Yellow on March 20, 2010. 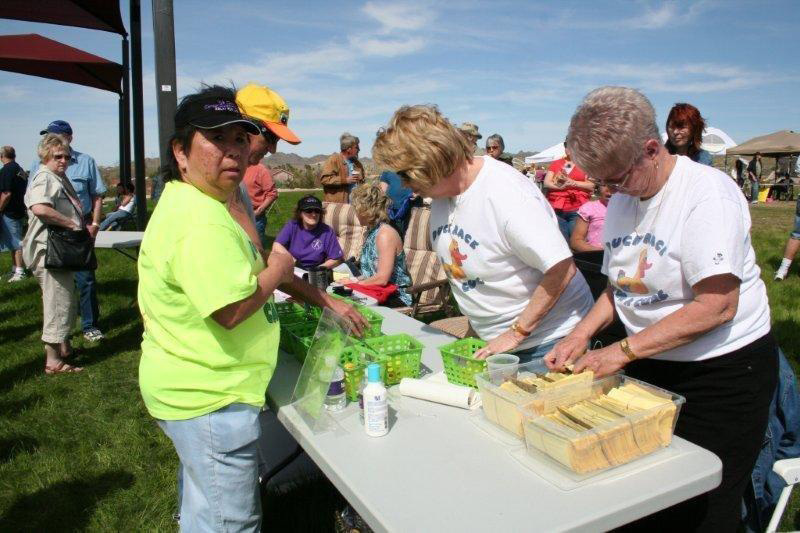 I'll send you a news clip about our Power of Purple as Mohave County declared the 3rd Saturday in March forever as Power of Purple Day... Karen"
The past 10 weeks have been crazy and a blur for Karen as they had fund raisers on top of fund raisers along with meetings before and after each event. 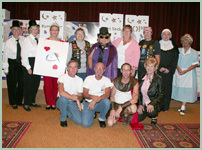 In addition to doing fund raisers for We Care Cancer Support Inc., she also set them up to help families with children who have cancer and are currently in treatment to help defray the cost of travel as they have to go to Vegas or Phoenix (they don’t have a Childrens Oncology center there) ~ Phoenix is 5 hours away and Vegas is two hours. 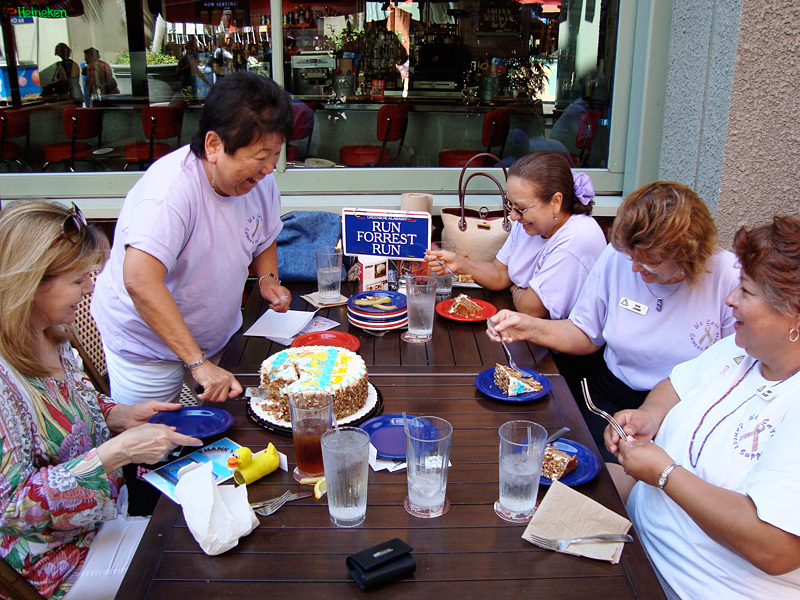 Most of their fund raisers are with local restaurants and the most fun ones are with Buffalo Wild Wings as the volunteers “take over” by bussing tables, doing drink refills, deliver food orders and talk with the dining guests to give validity to their mission. 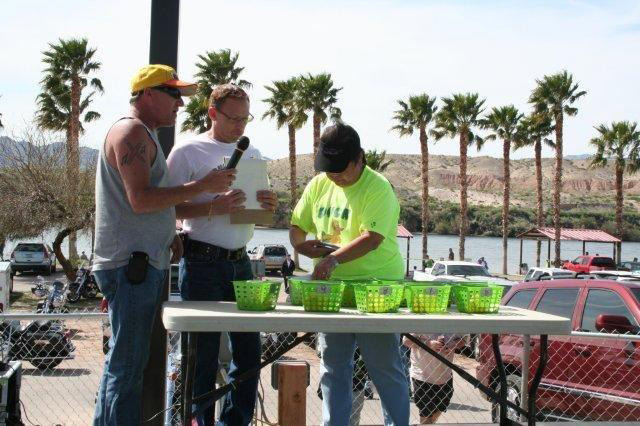 In addition to helping cancer patients and “working” at Buffalo Wild Wings, they also wash cars at their spring and fall car wash fund raiser and have fun doing it all. One of their last big fund raisers on November 11th was for a little 3 year old who suddenly lost her battle with Acute Lymphoblastic Leukemia on November 18th ~ Karen was close to her and says it was very hard giving her mom the money they raised while they were planning her memorial. 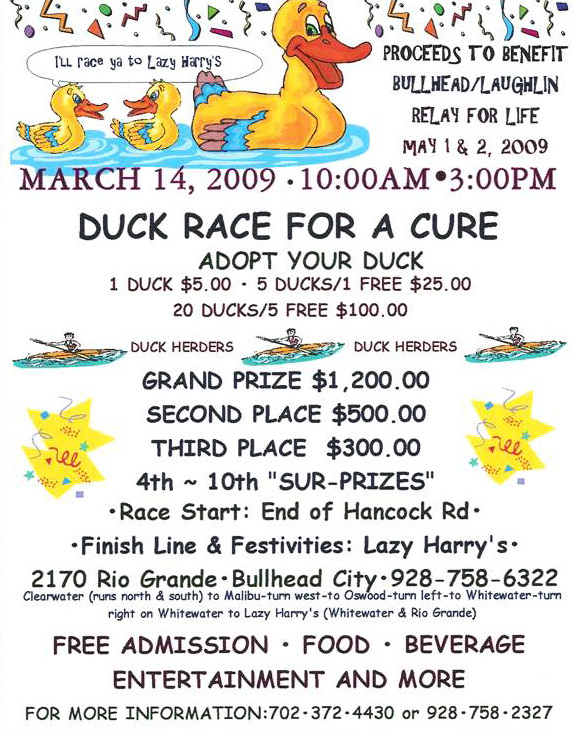 As for the ducks, they are diligently working on activities for the Duck Race in March which will include a Poker Run, a “bike” run in the event area for children, a Poker Walk in the event area for the “old folks” along with entertainment and games. "I would like to share a photo of my friend ~ Alexis Smith is an adorable cancer survivor at age 3. 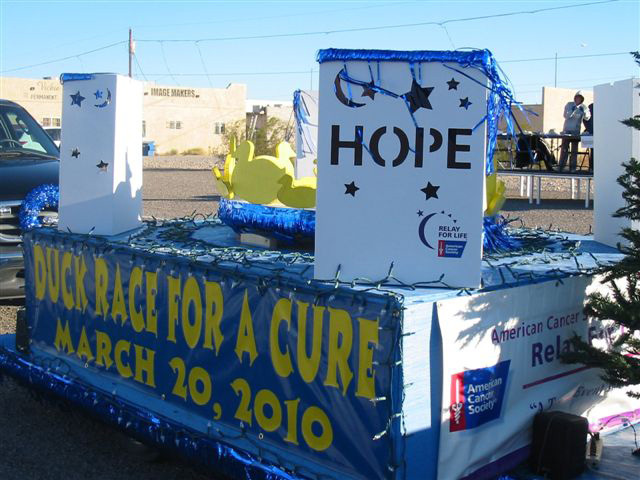 In Dec 2008 Alexis turned three ~ in Feb 2009 Alexis was diagnosed with Acute Lymphoblastic Leukemia also known as ALL ~ Since then Alexis and her parents drive to Phoenix every week for her chemo treatments and will continue to do so for the next 15 months. 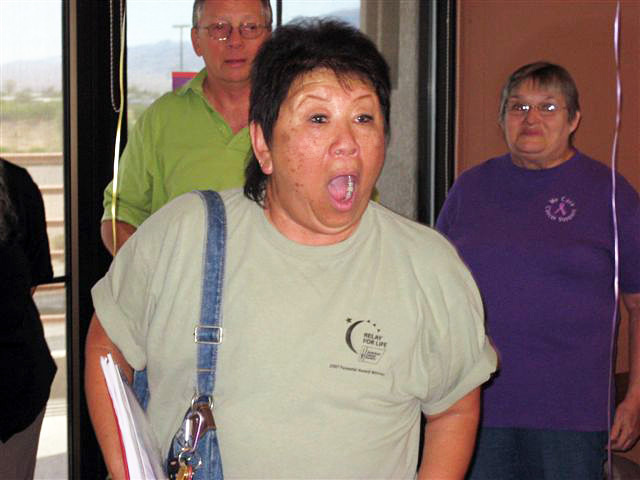 On October 14th, We Care Cancer Support Inc. along with the Bullhead City Junior High Relay For Life Youth Committee held a Spaghetti Dinner with all proceeds benefiting the Smith family. 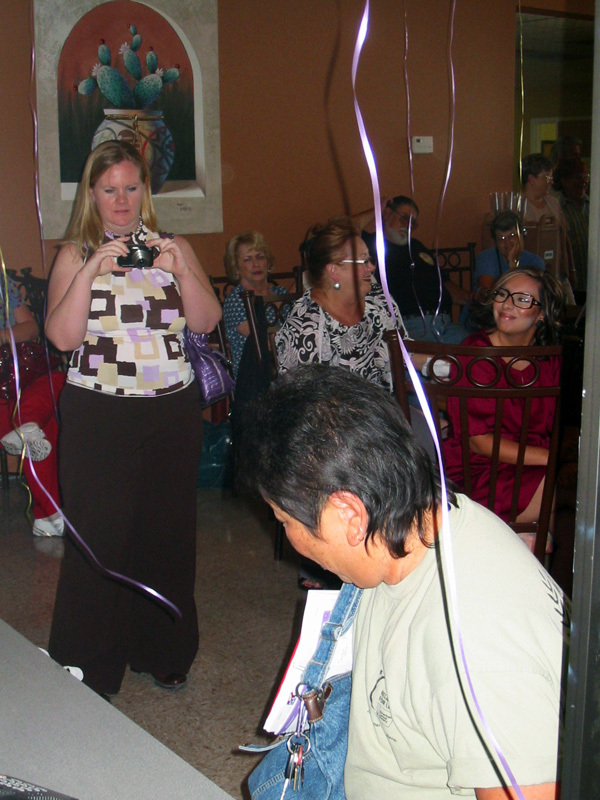 The dinner alone raised $1205.00 in three hours ~ donation checks were written directly to the family which was given to them that night along with a $500.00 donation check from the Colorado River Women's Council ~ all in all the benefit dinner totaled $1945.00 for Alexis. 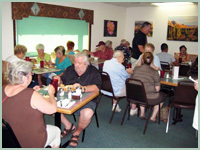 The dinner was held at Scooter's Family Fun Center with owner Chris Colianno doing the cooking which everyone raved how great the spaghetti was; Smart and Final donated all that we needed for the sauce with Sam's Club donating loaves of bread for garlic bread. 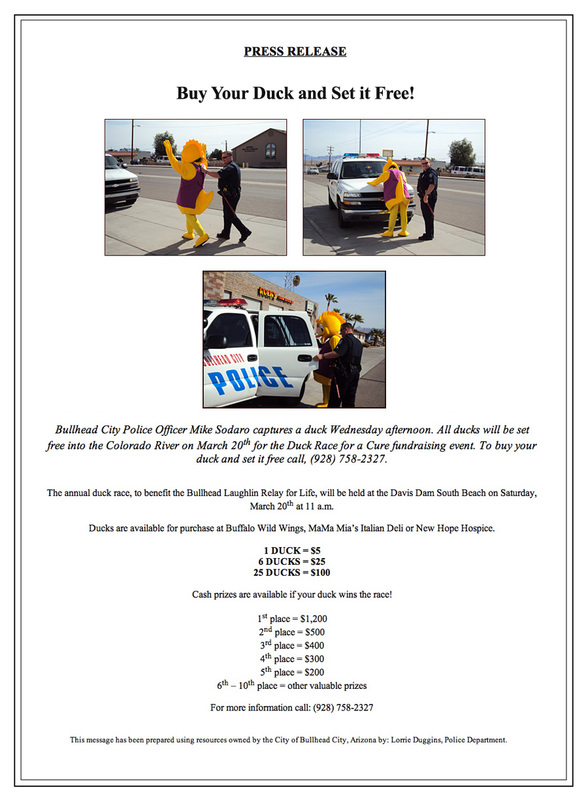 We Care Cancer Support Inc along with the Bullhead Junior High Relay For Life Youth Committee will be doing more fund raisers for Alexis." 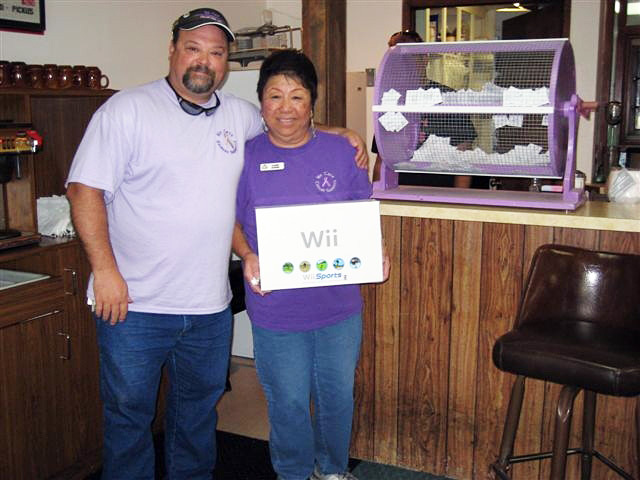 "This was our fist dinner fund raiser and it went quite well as the dinner was sponsored by Valley View Medical Center and the Bonanza Cafe where we had the dinner and our Walmart in Bullhead City donated at Wii Game Console for our raffle. 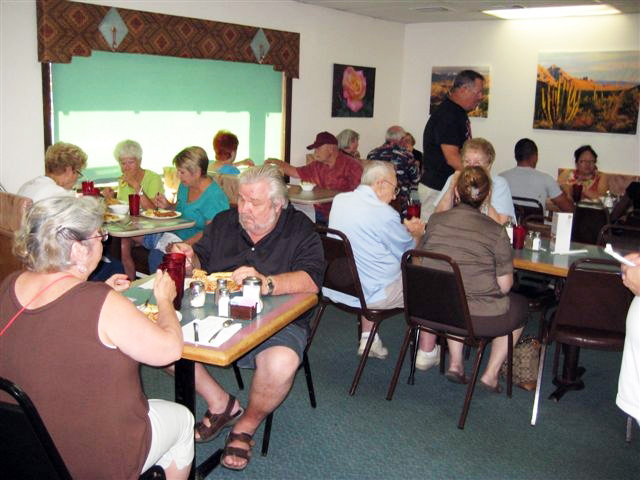 John & Becky Shepherd's Bonanza Cafe is only open from 6:00am to 2:00pm every day but on Sept. 16th they re-opened just for our fund raiser and kept their cooks onboard to do the cooking. 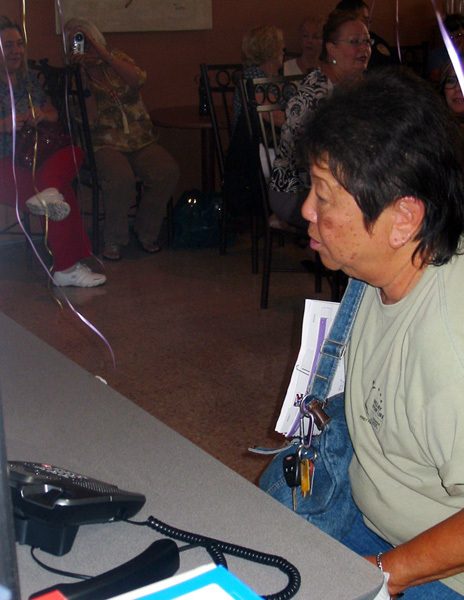 The We Care volunteers served dinners; bussed & cleaned tables, washed dishes, etc and we had soooo much fun doing all of it. We served over 200 dinners from 4:00pm to 7:00pm and because our volunteers are so organized & diligent we had everything cleaned & put away before 8:00pm... The dinner was so delicious that we had several guests ask for 2nds and they paid half price without hesitation. 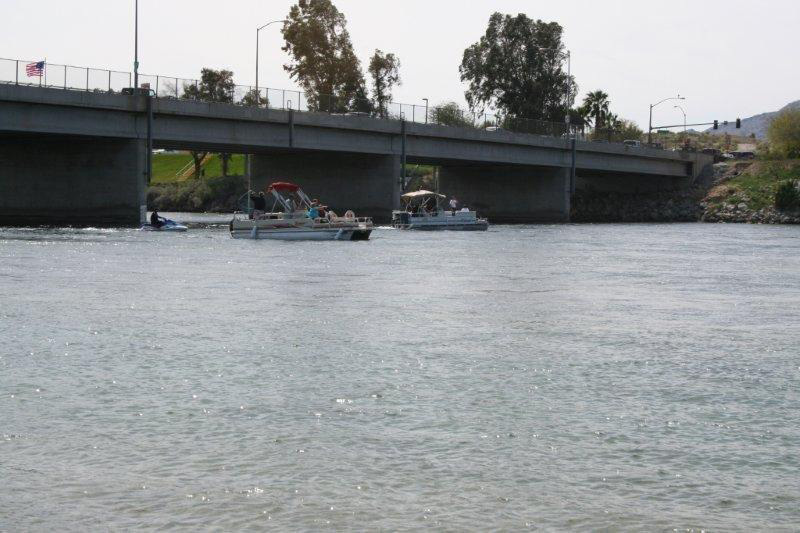 Our hats off to the Bullhead Area community for their unconditional support"
What a fun and special day it was today. 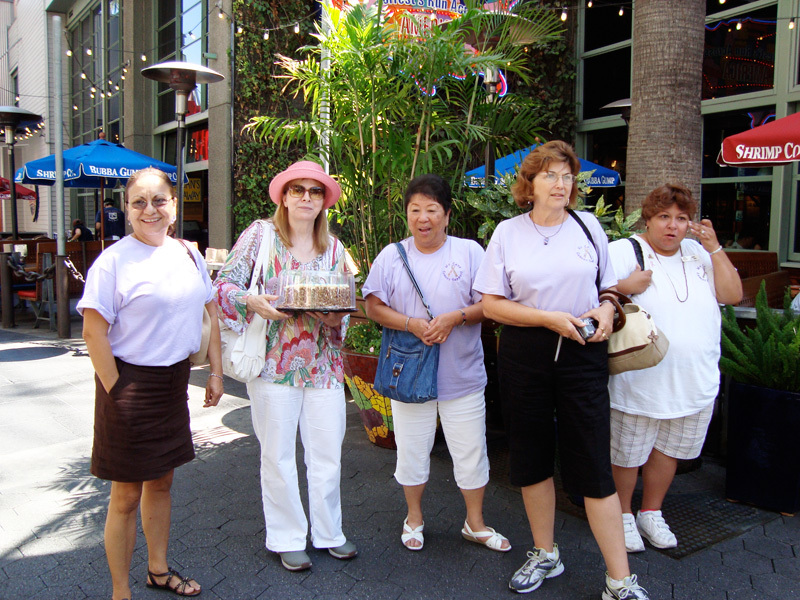 Karen, Gail, Cynthia, and Mauri drove all the way to Hollywood just to say thank you. 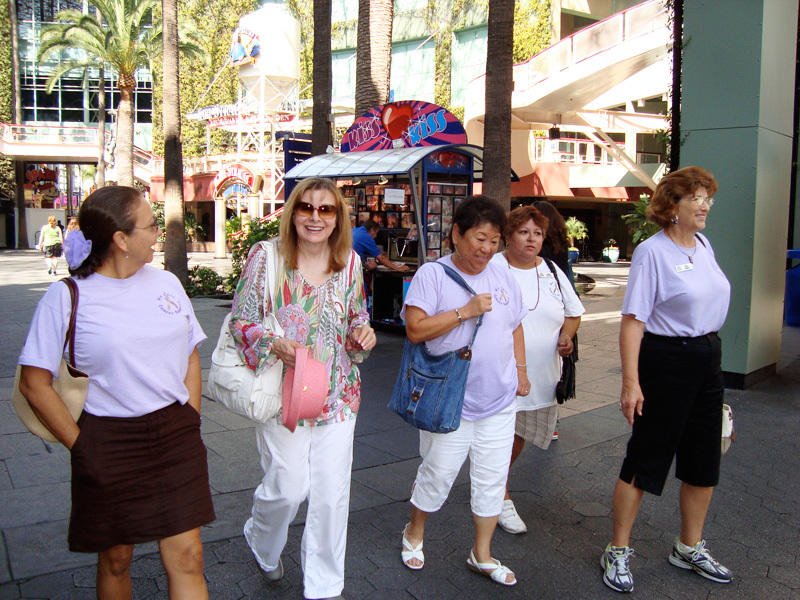 They left very early in the morning, stopped in Barstow for breakfast, and arrived early at Universal Citywalk. Damon and I got there at 11:00 am and I spotted Karen right away since I had seen her photo. 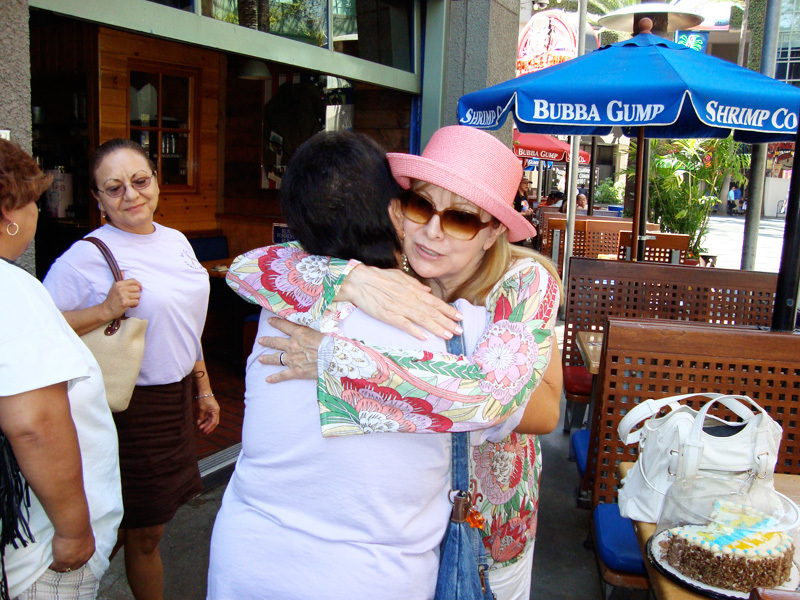 I felt like I was meeting old friends as we all hugged and guess who got emotional? Cynthia! 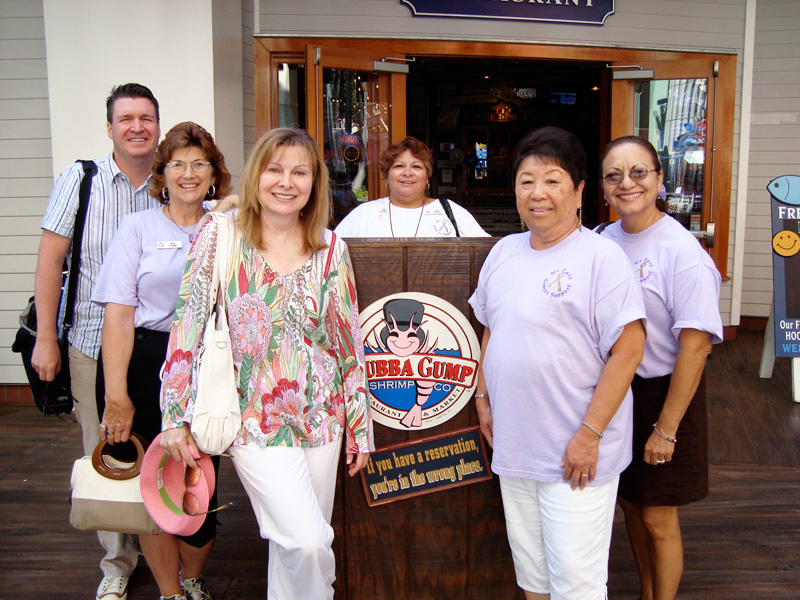 We took some photos and headed for Bubba Gump Shrimp where we had a great lunch. 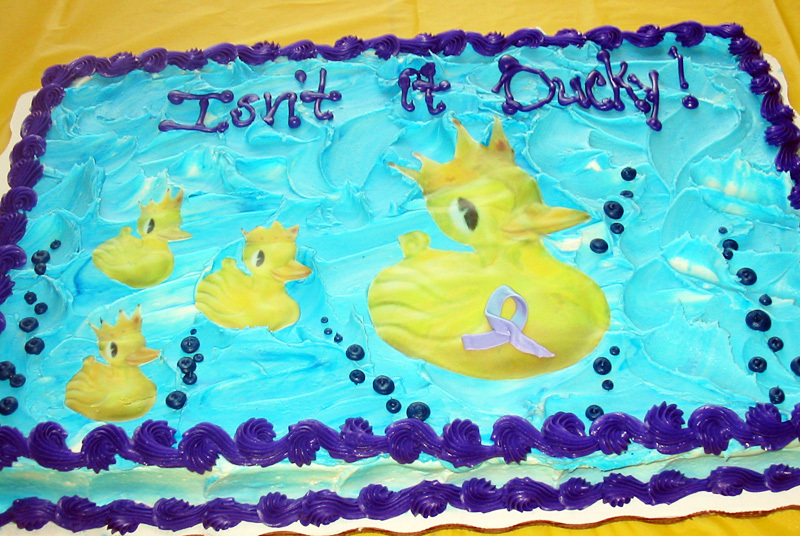 Karen and I both had barbeque pork sandwiches (okay, I copied her) and for dessert the girls brought out a fantastic carrot cake decorated with what else… rubber ducks. 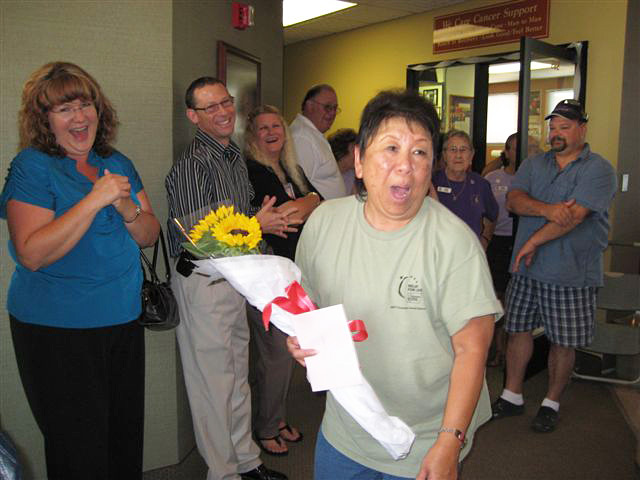 We shared stories and I found out that Karen’s original plan was to surprise me by coming to our office but her plans changed when I picked up the phone the day she called. 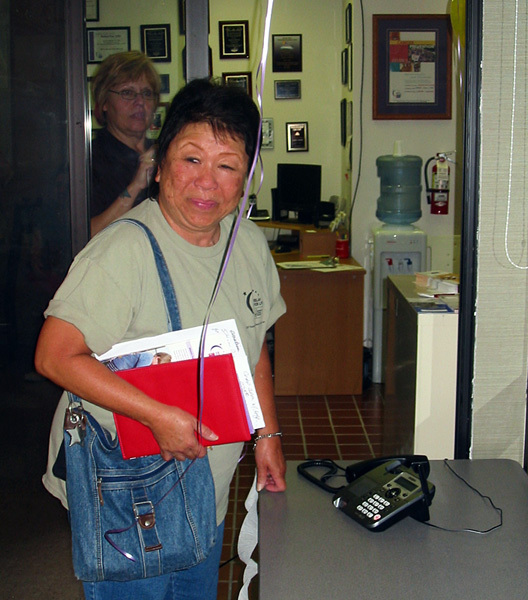 It was great to hear about the day I made my surprise phone call to Karen. 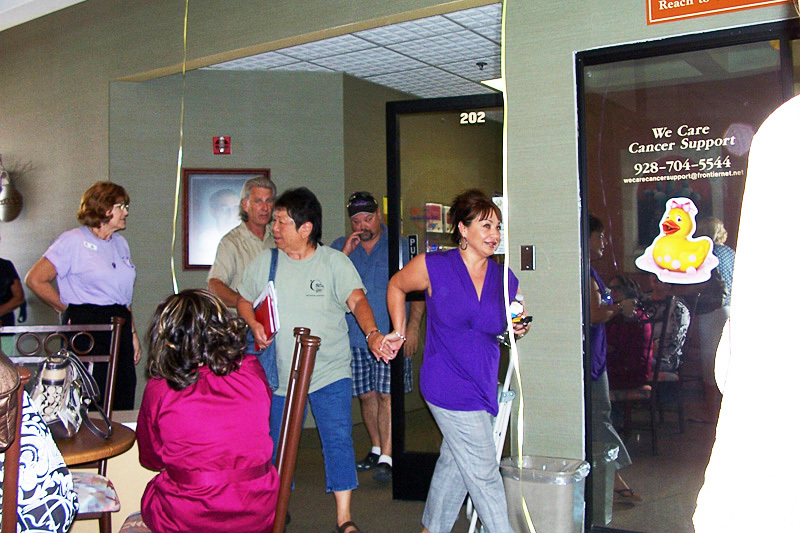 It took a village to get her there for the call and when she saw the balloons, she thought it was a surprise birthday party since her birthday was the following week. She tried to leave but they pulled her back in. She said she was so shocked by my phone call she asked if it was a prank. At one point she walked away from the phone which I remember because during the call I could not hear her for a while. 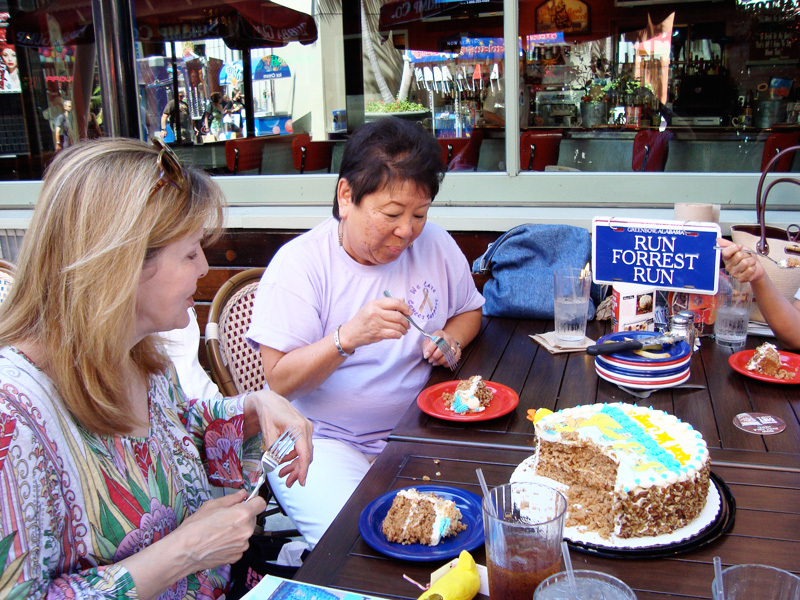 Gail said she could see Karen’s wheels turning trying to figure out why everyone was there. 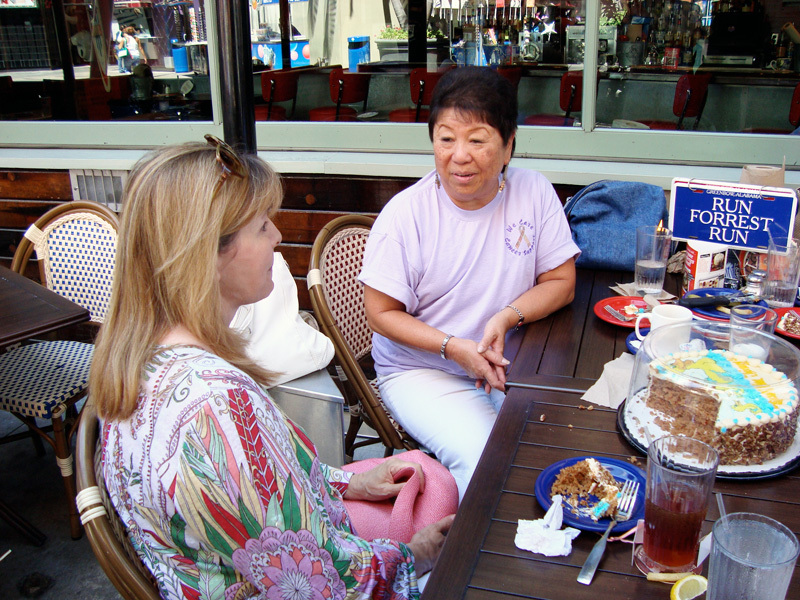 We had a great time together and after meeting Karen, it’s clear why she is so admired in her community… and now by me. 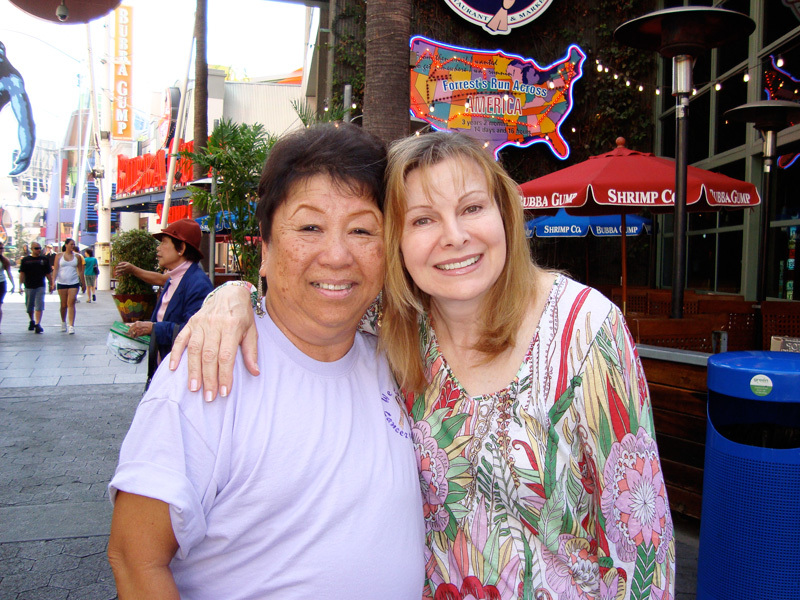 I don't get to meet many of my "Heroes" so I was thrilled when Karen called over the weekend to say she is coming to L.A. just so we can meet. 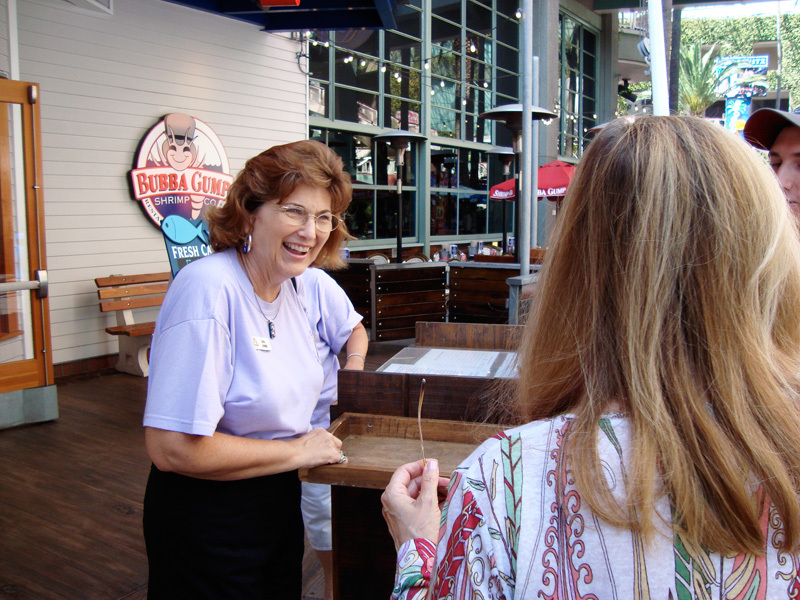 She told me she'll be driving here and back in one day and we'll be meeting at Universal Citywalk in Hollywood for lunch. 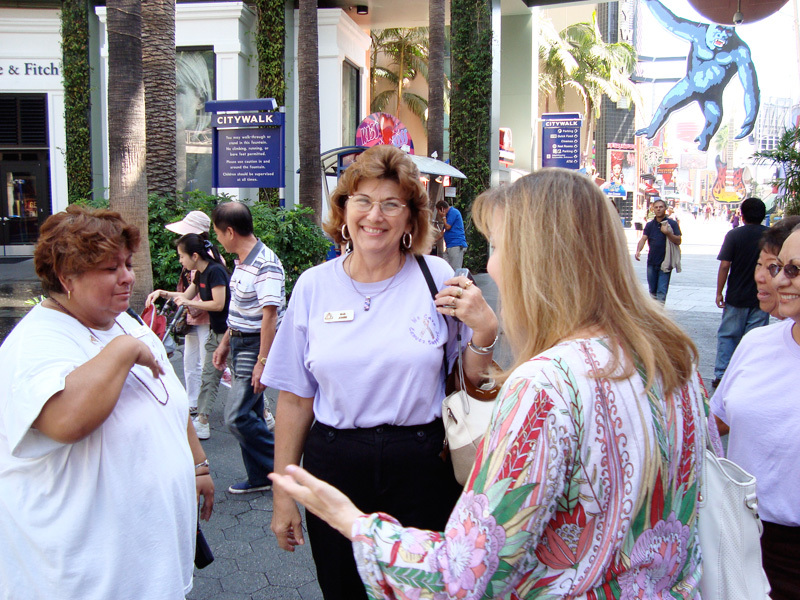 Her travel companions will be Gail Jones, our ally who set up our phone call, and fellow volunteers Cynthia Klaudt and Mauri Holguin. 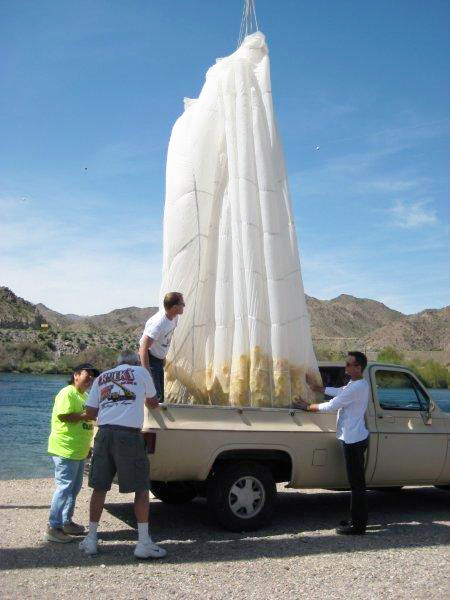 I'm honored that they are willing to drive such a long distance just to get together and it should be lots of fun. Damon will be there too and we'll be sure to take lots of pictures and share them here. There was a brief moment of panic just before my surprise call to Karen - they couldn't find her! But she was quickly located and invited to come to a volunteer meeting because there was supposedly "trouble with the troops." 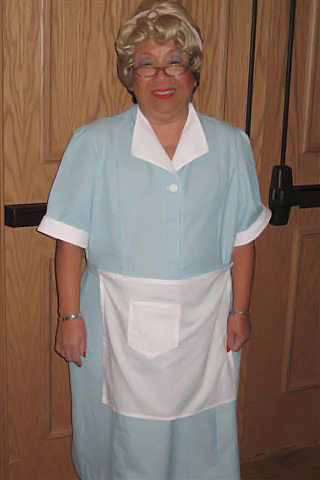 But when Karen walked into the room, she was greeted by a crowd of people and me on the phone. "It's the first time I've seen Karen speechess," said Gail Jones, our ally and board member of the center, who did a spectacular job with the surprise. 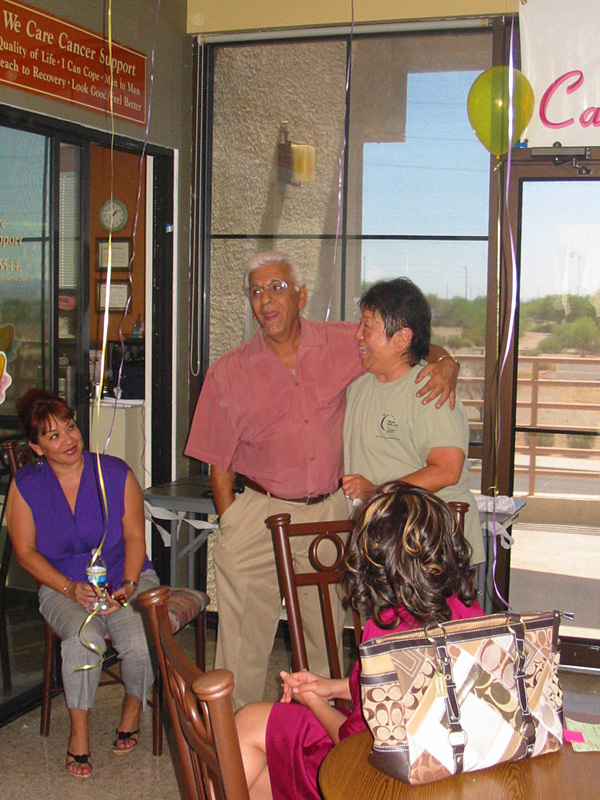 She arranged for the Mayor, City Council Members and about 50 people to join in the celebration. 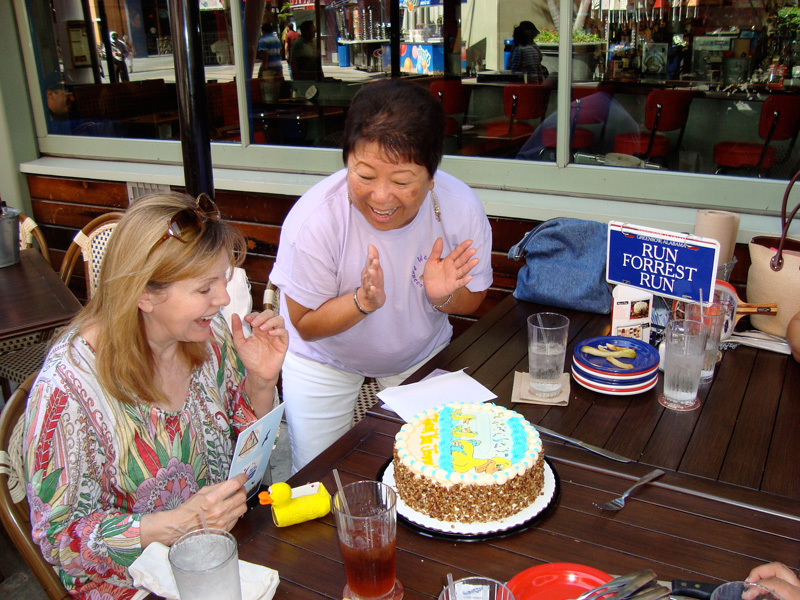 I could hear lots of applause and cheering for Karen, or maybe it was for the big cake with a rubber duck on the top! The Mayor, Jack Hakim, thanked me personally. "You don't know what this means to all of us and we thank you from the bottom of our hearts." The Co-Chairman of the relay, Patrick Wilson, came on the phone and invited me to be the honorary chairperson of the race. 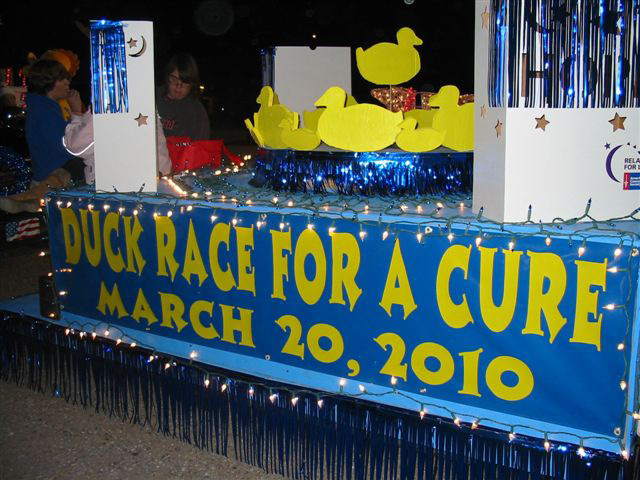 Karen told me they expect the duck race in March to raise $35,000. Wouldn't that be terrific! 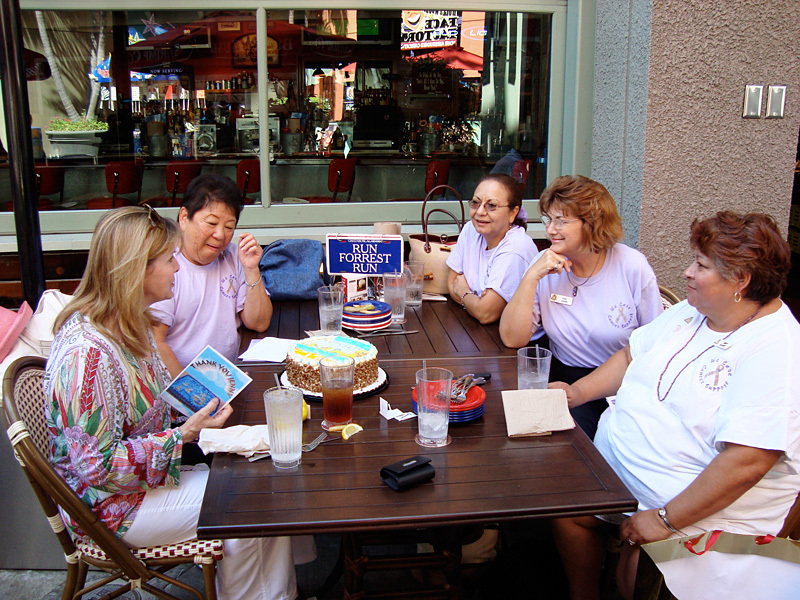 08/27/09: Jenny wrote... "Karen, we all know someone affected by cancer so what you are doing is a wonderful service to everyone in your community." 08/27/09: Damon wrote... "Congratulations, Karen. 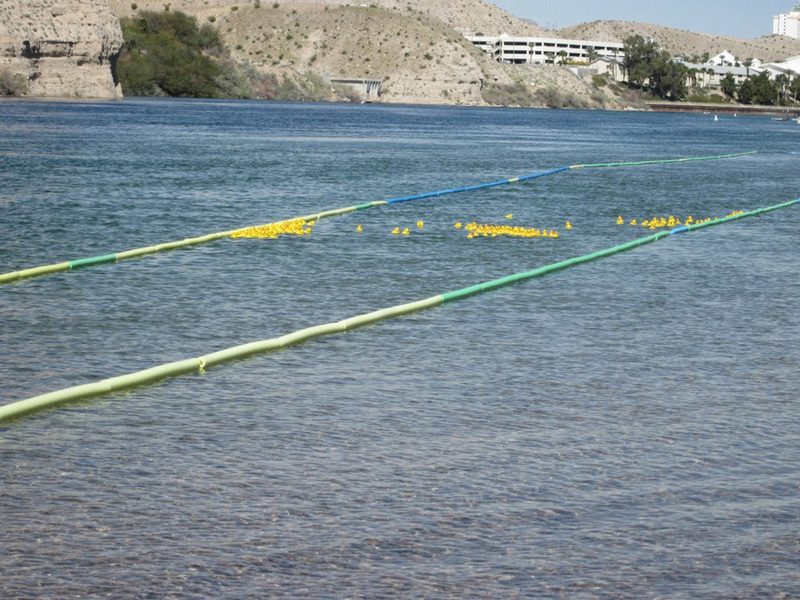 I can't wait to see photos of the new ducks racing down the Colorado River. 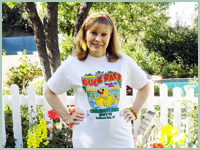 Thanks for everything you do for cancer patients and their families." 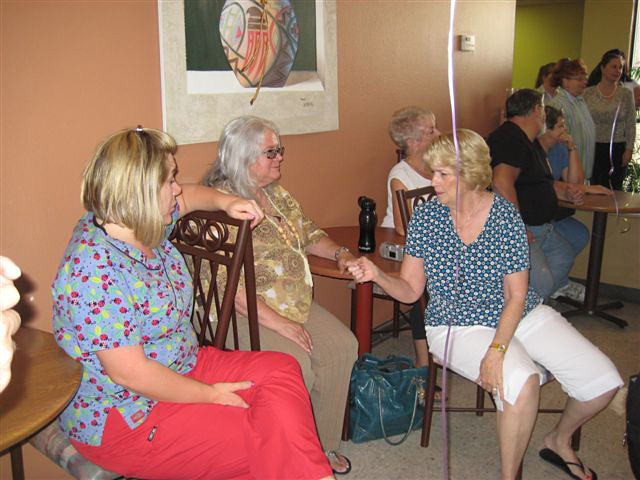 08/27/09: Shannon Mashburn wrote... "Karen... You are a blessing to so many people... You are truly an Angel on Earth..."
08/27/09: Lory Butterfass wrote... "Hey Karen, Way to go... Congrats. 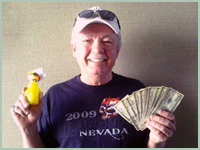 Love, Lory & Ken"
08/27/09: Dee and Chuck Phemister wrote... "Karen, we know that you will never give up on your dream. Thank you for letting us be a part of it. 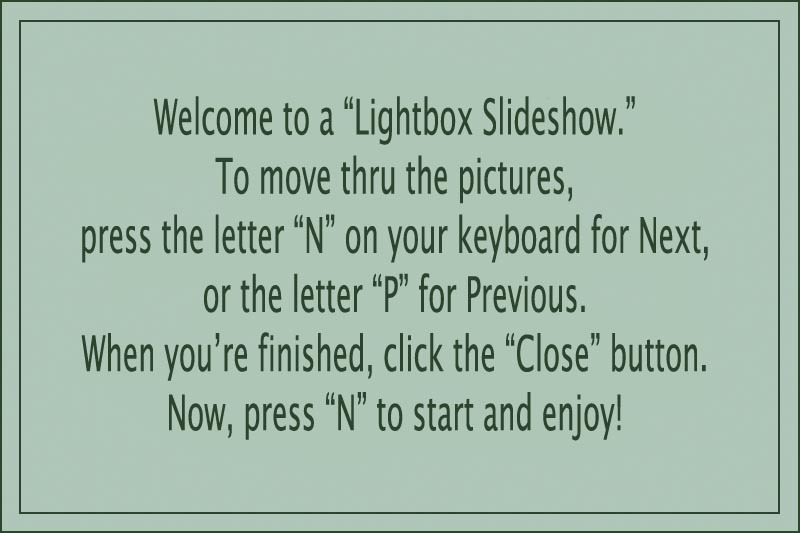 Congratulations." 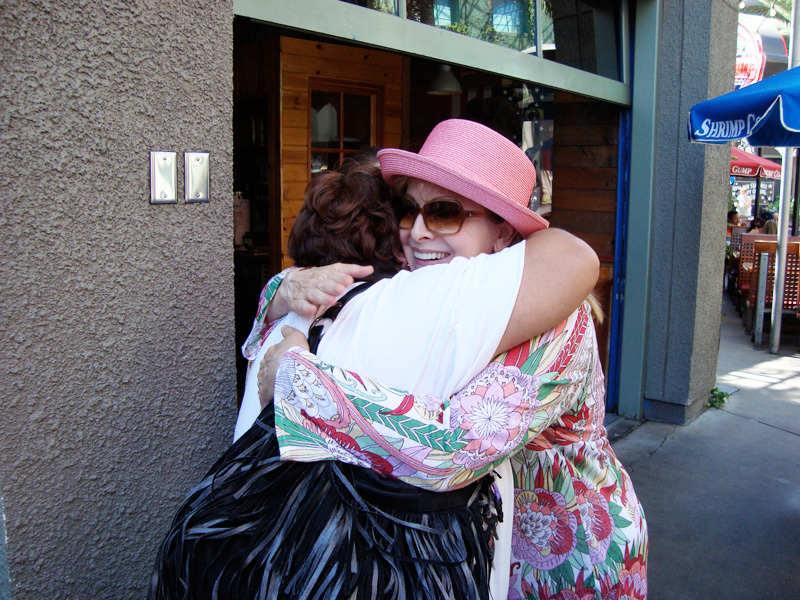 08/27/09: Sabrina Whartenby wrote... "I've known you for years and it's a blessing to see that you are finally getting the recognition you so gratefully deserve! 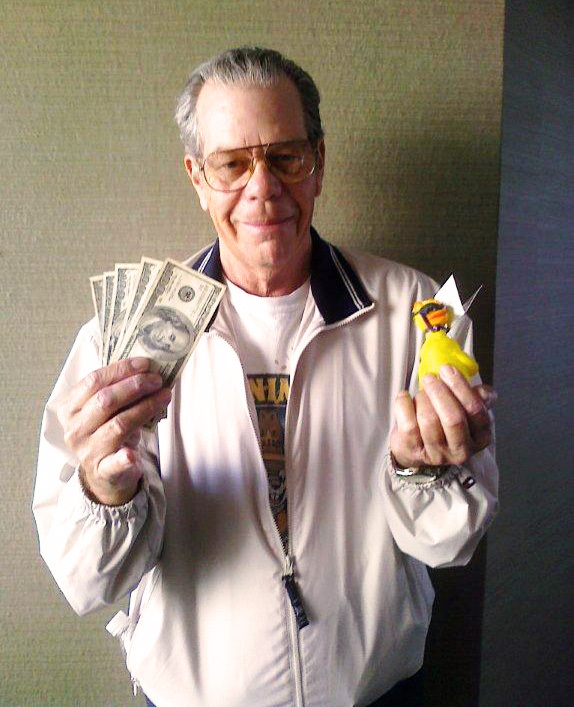 You truly are an angel and so much appreciated for what you do and what you have accomplished!" 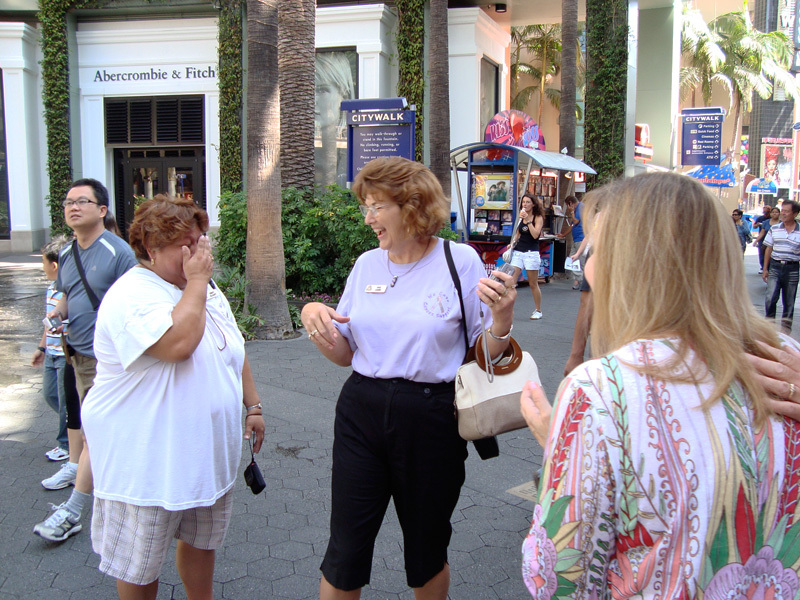 08/28/09: Francine Collier wrote... "Karen, Awesome job lady!! I am so proud of you and what you are doing for cancer patients. Keep up the good work!" 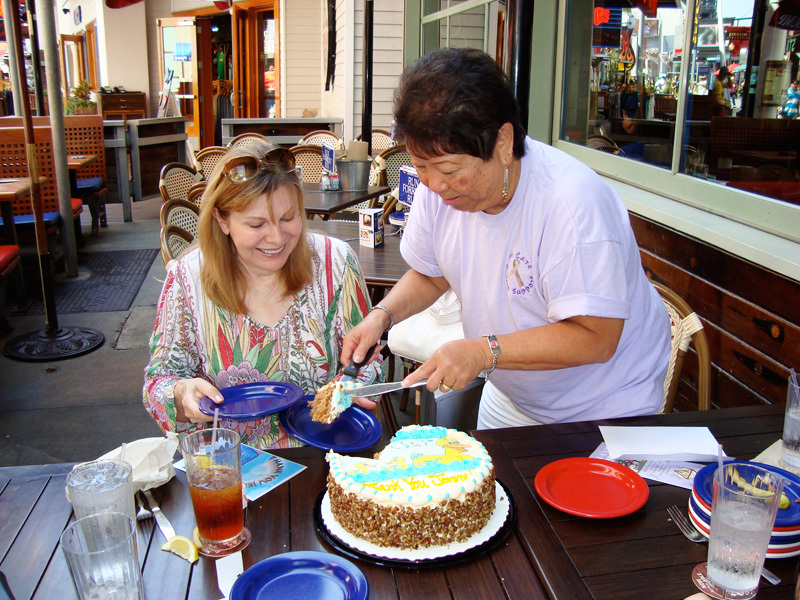 08/28/09: Ken & Margaret Neilsen wrote... "Karen, Congratulations on the wonderful things you have done for so many people in our community You are a very special person. Love, Ken & Margaret"
08/28/09: Noah and Meiki Kang wrote... "Congratulations, Big Sis, and very well deserved !!! You have dedicated a lot of time and energy to help others get through such a terrible ordeal. Since Meiki was diagnosed with cancer, we have come into contact with so many wonderful people, like yourself, through organizations, such as The American Cancer Society and The Leukemia & Lymphoma Society. 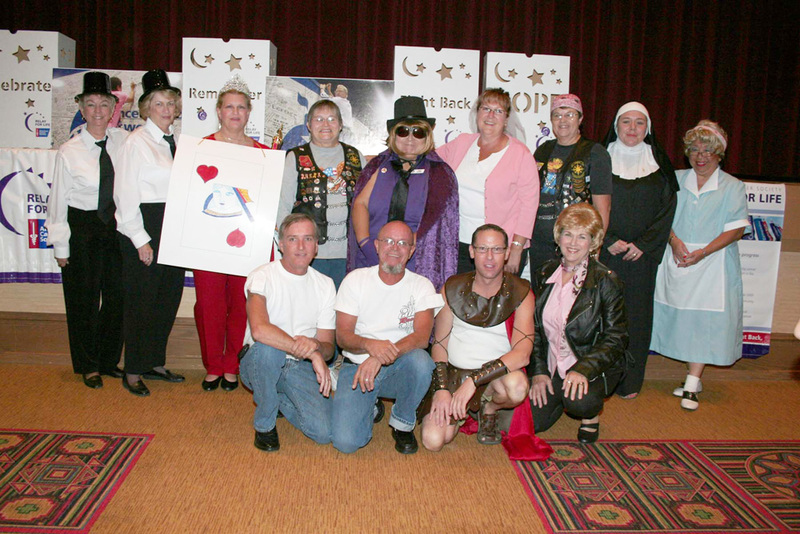 The information, support and guidance we received from these organizations and volunteer support groups like We Care Support Center (Bullhead City's Relay For Life 2006 and 2008) truly enabled Meiki and I to cope these past four years. Meiki has now been in remission for four years ... her type of Lymphoma statistically, without a BMT, has only a one year survival rate ... I think we beat it !!! 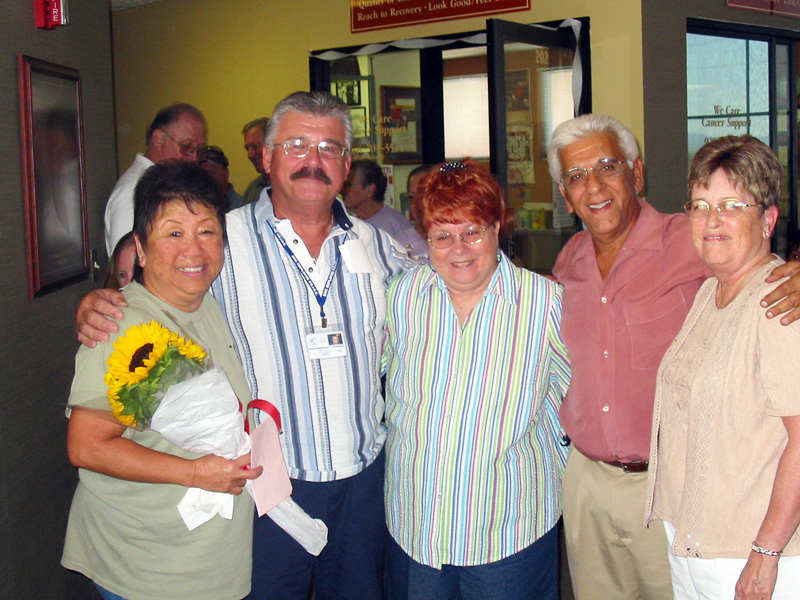 Again, congratulation to you and all your volunteers at the WE CARE SUPPORT CENTER for a job well done and recognition well deserved. 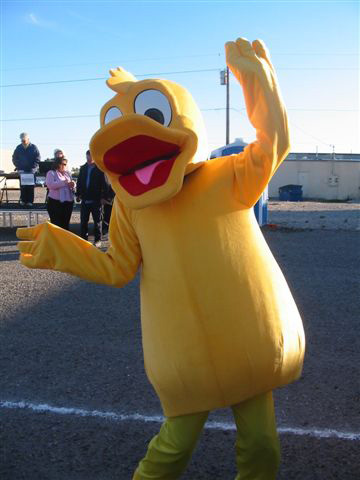 Meiki and I want a couple of Ducks for next years race." 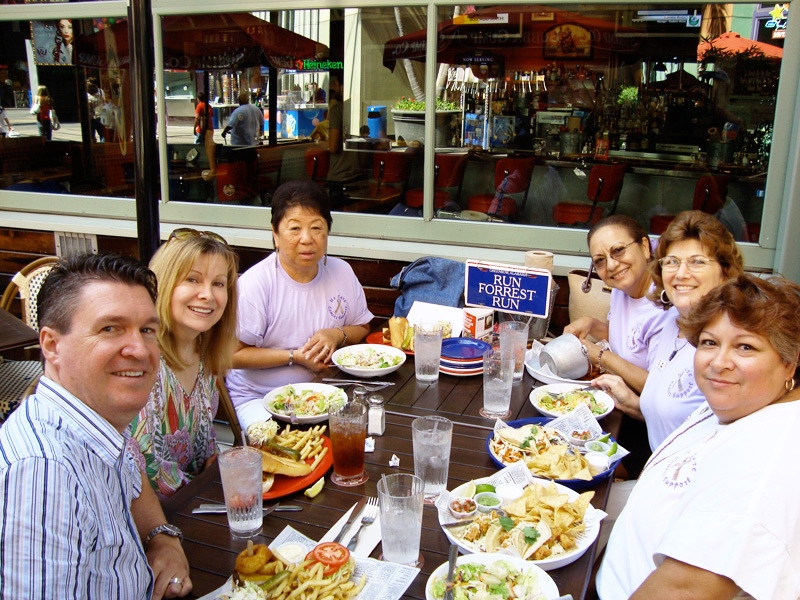 08/31/09: Jeff & Lee Ann Colvin wrote... "Thank you Karen, it is like family when all of our volunteers are together. 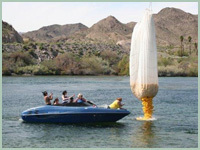 You also have enriched our lives with spiritual content in helping others during a very rough time in life." 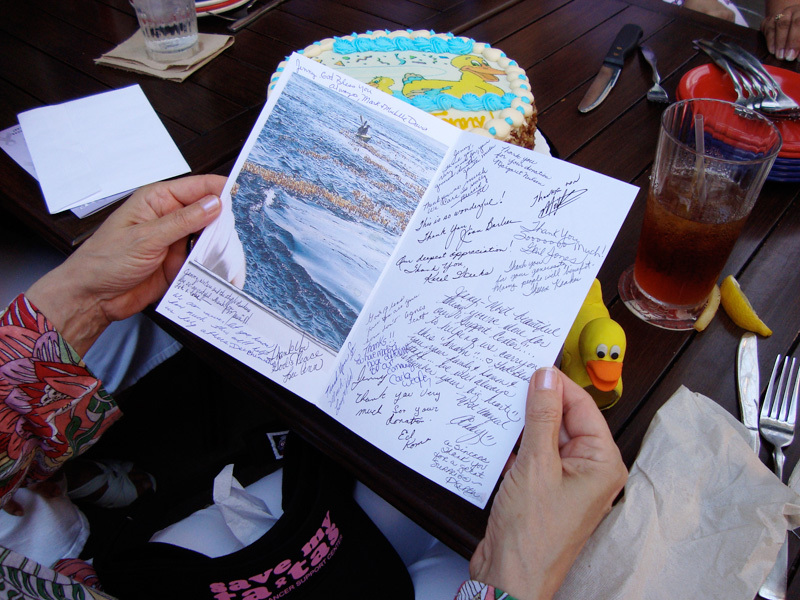 09/15/09: Chuck & Dee Phemister wrote... "This is a thank you for both Jenny and Karen. What a Combo!!! 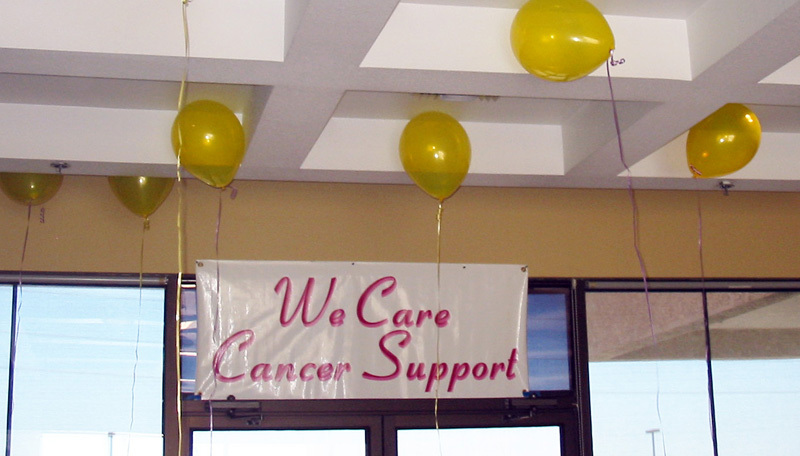 We at We Care Cancer Support Inc are always trying new fund raiser ideas to benefit those in our area with cancer. Alot of times its tough but thats when the Tough get going. 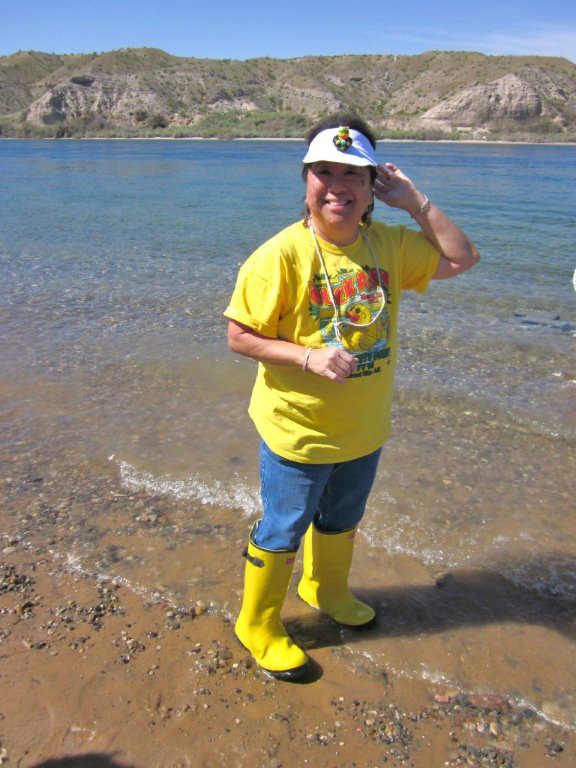 My family and Karen's along with our great volunteers are always up for the challenge. Thank you Jenny and thank you Karen. 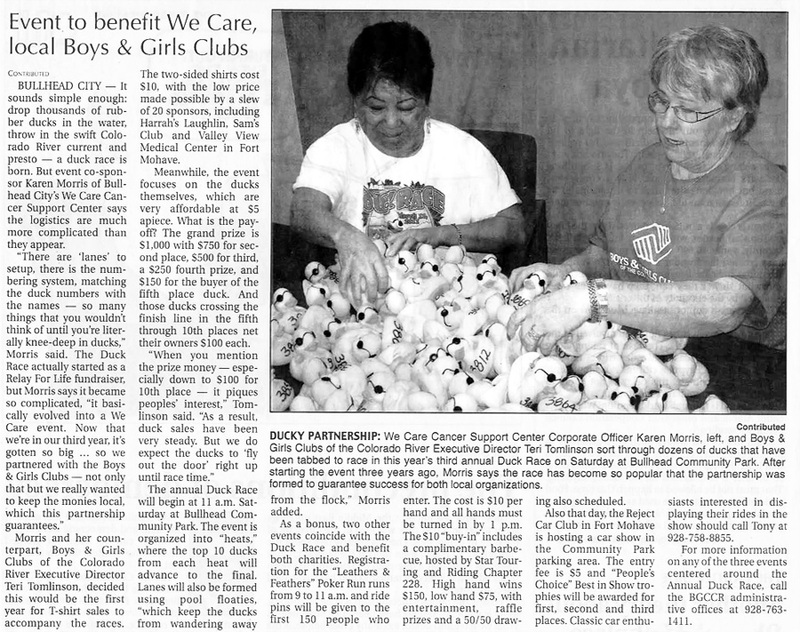 We Care Cancer Support Inc. President and Treasurer Chuck and Dee Phemister"
10/21/09: Helene wrote... "Karen, That's a novel fund-raising idea. But more important is the cause. We've all been effected at one time or another and knowing there are services like yours available when you are at your lowest, is a blessing. Where would we be without people like you?" 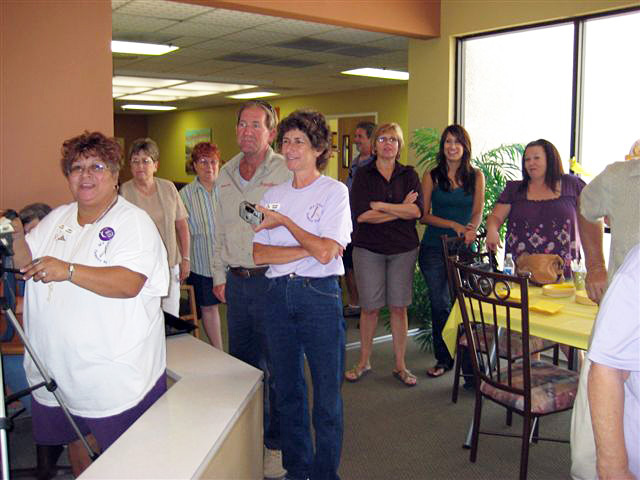 12/07/09: Cynthia Klaudt wrote... "Karen.....We all at We Care....are so proud of everyone that has put forth their efforts to make sure the needs are meet at the center with everyone......course the more volunteers we can find to join us , the more we can do. 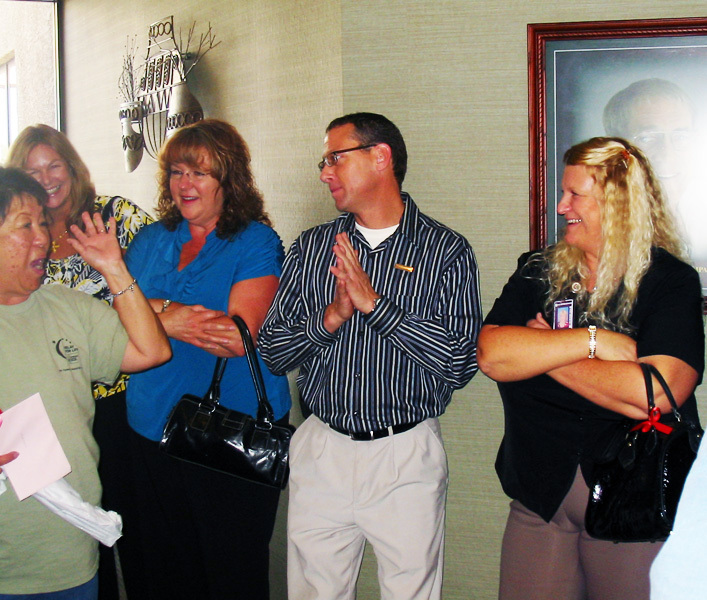 We are so thankful to have the staff we have...everyone has given straight from the heart. 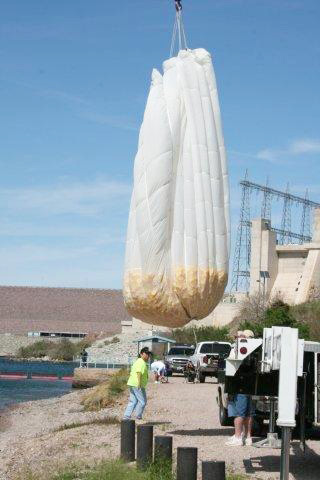 That is priceless!! I have come to know and care for everyone we encounter and losing them, is just as heartbreaking as if it were our family that has left us. 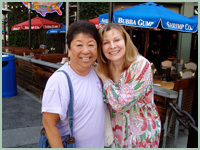 I am so grateful to have meet Jenny Jones, and that she has taken such an interest in what we are trying to accomplish everyday. God Bless everyone....Merry Christmas."